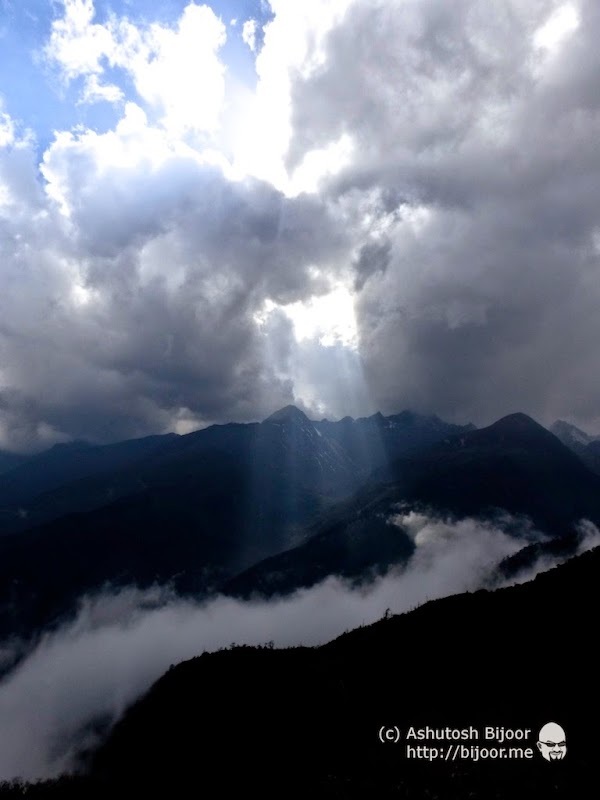 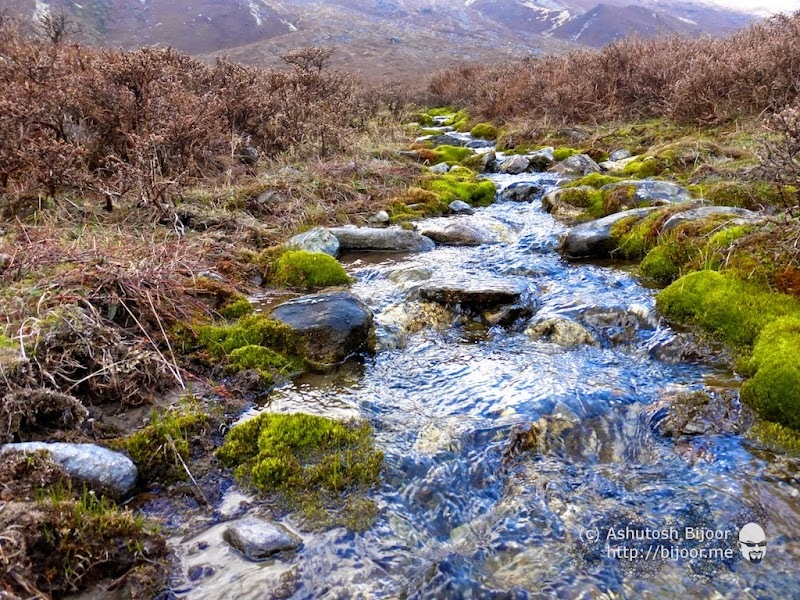 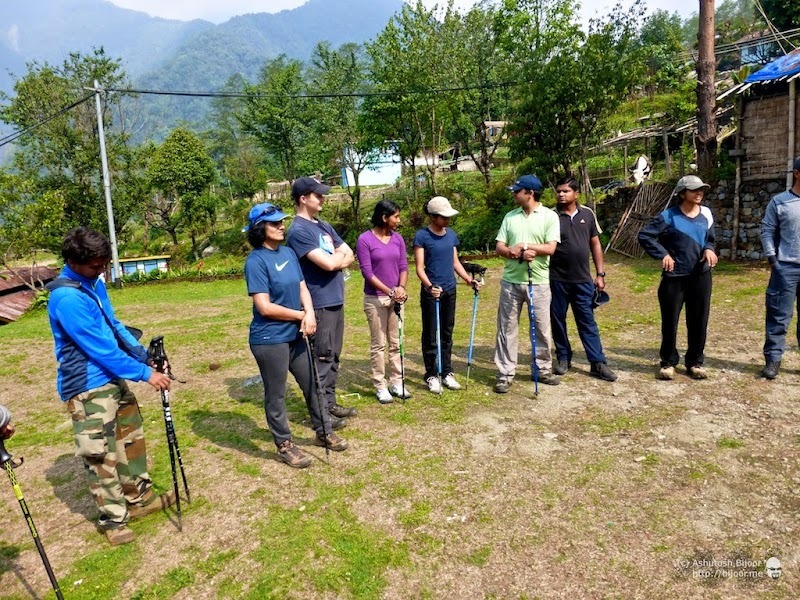 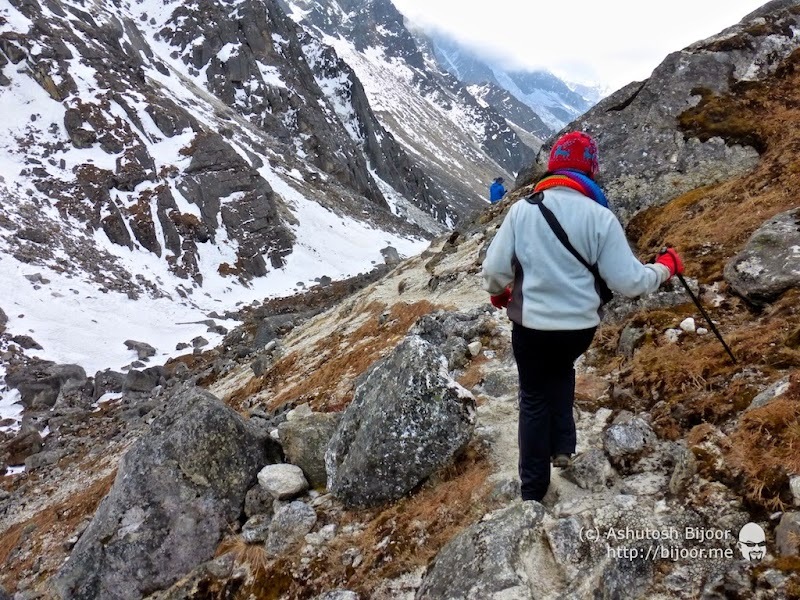 There is no better way to experience Sikkim than to do one of the high altitude treks in it’s mountains. 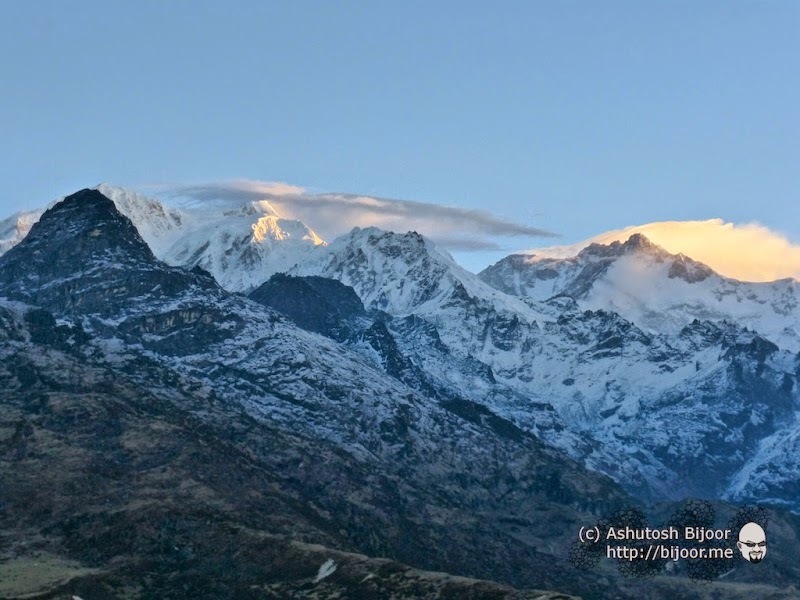 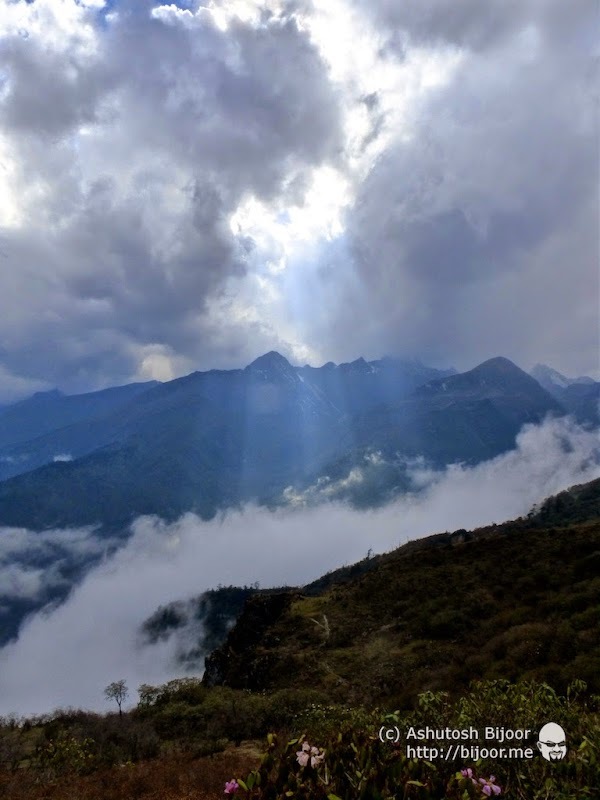 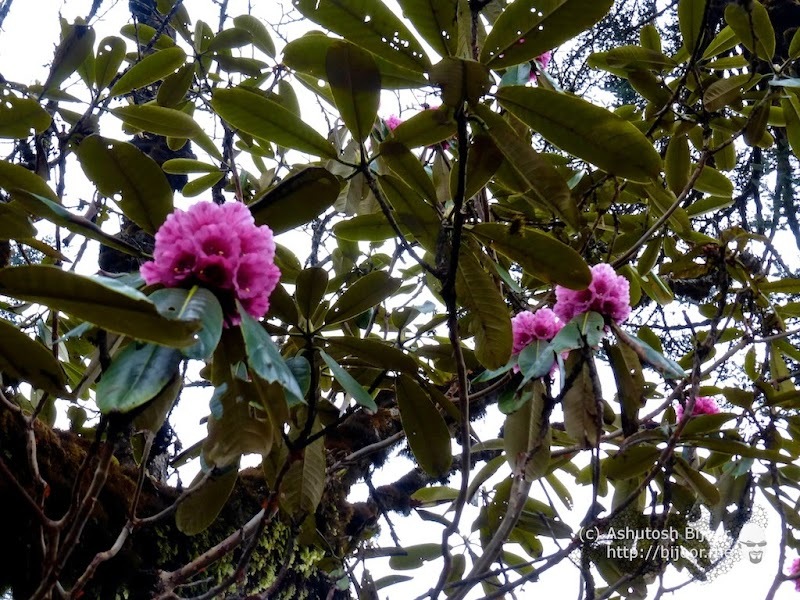 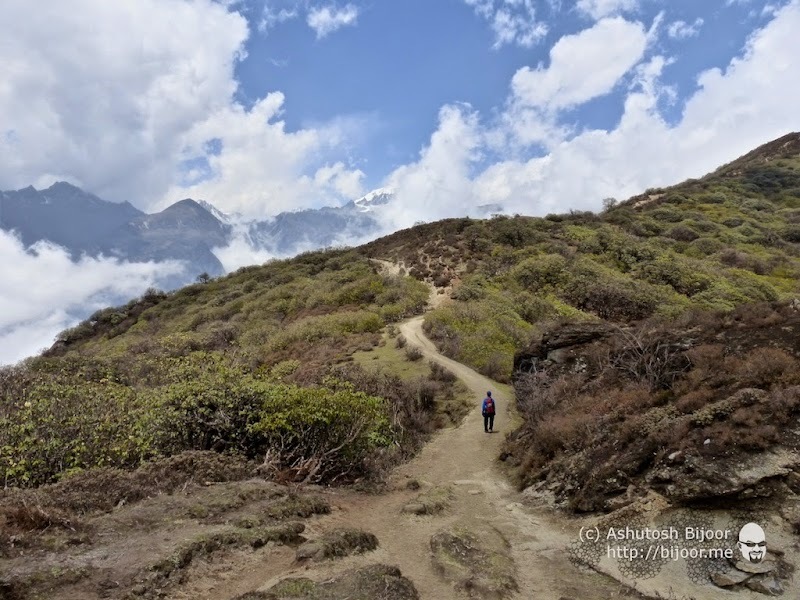 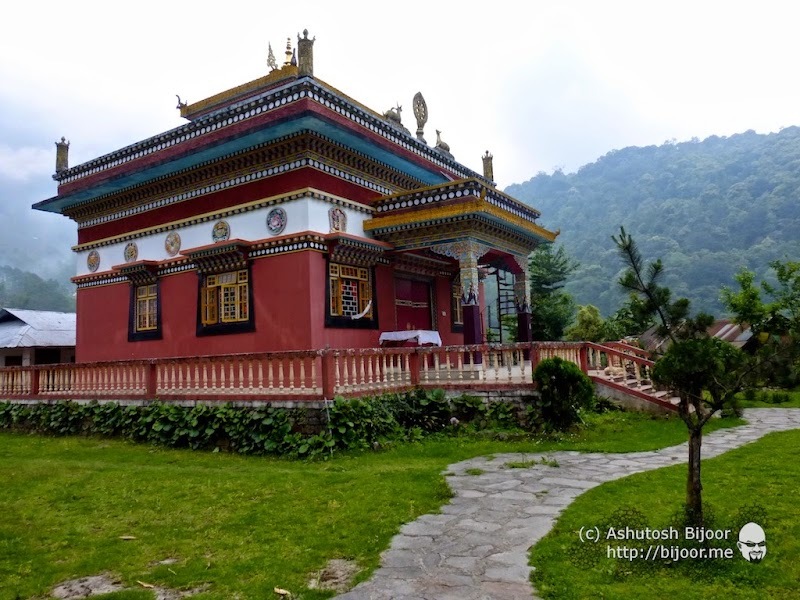 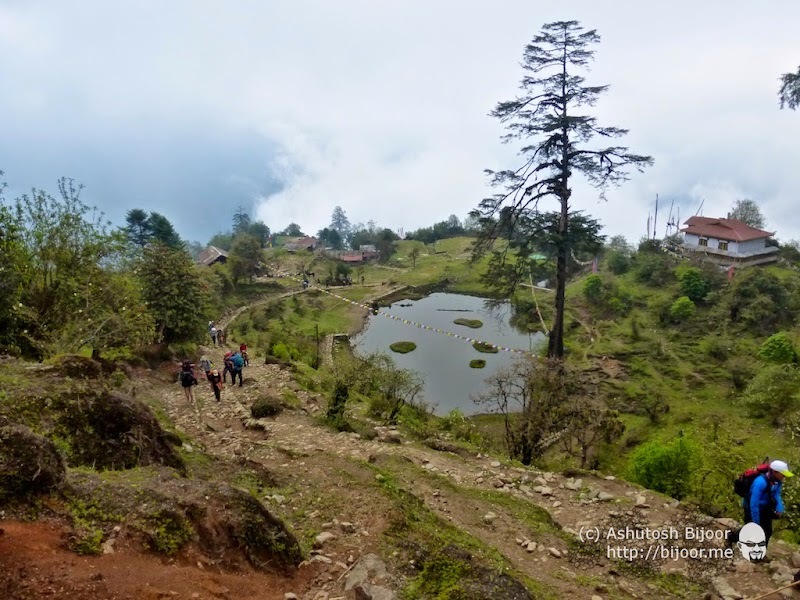 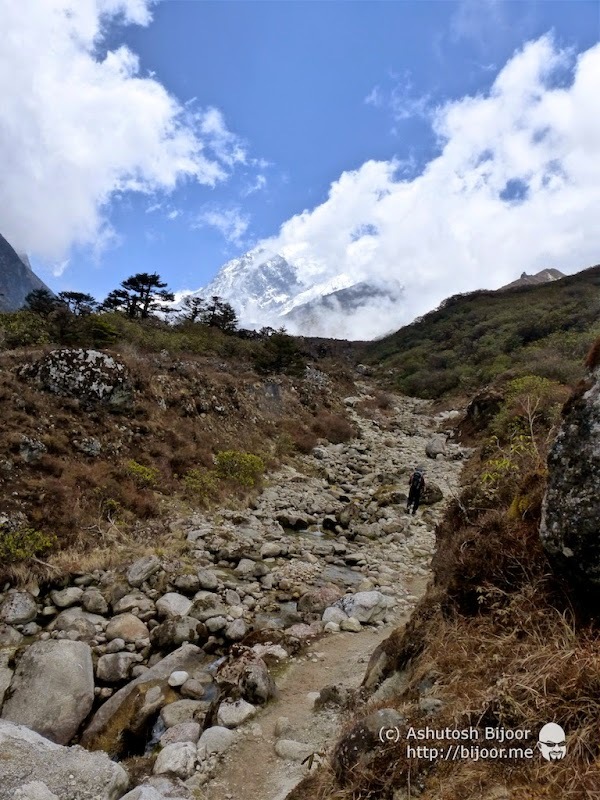 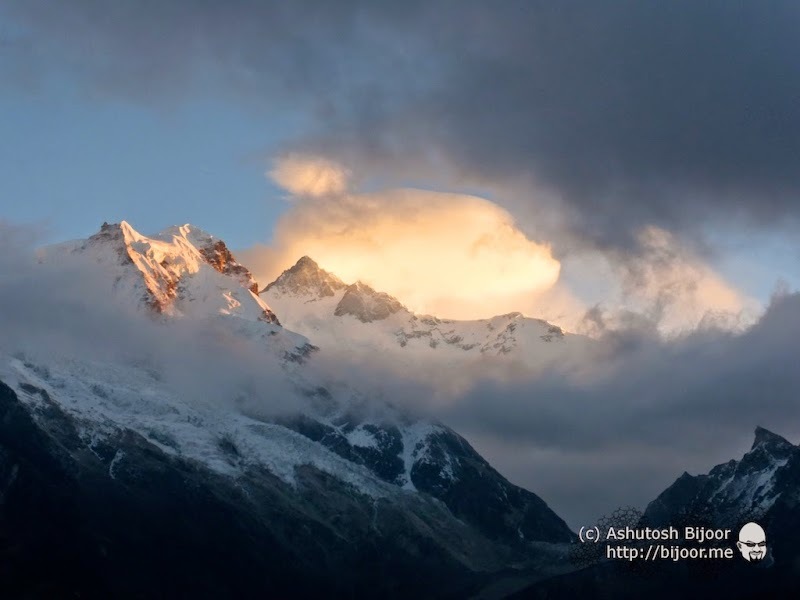 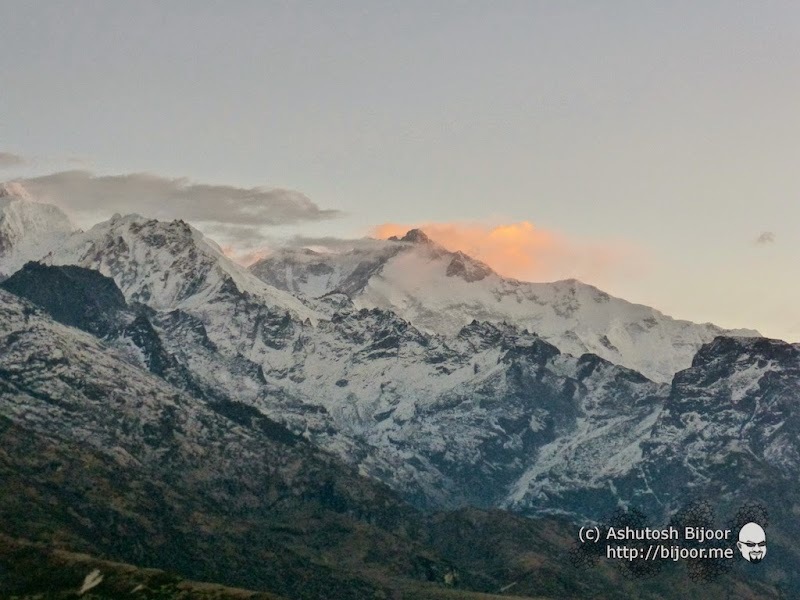 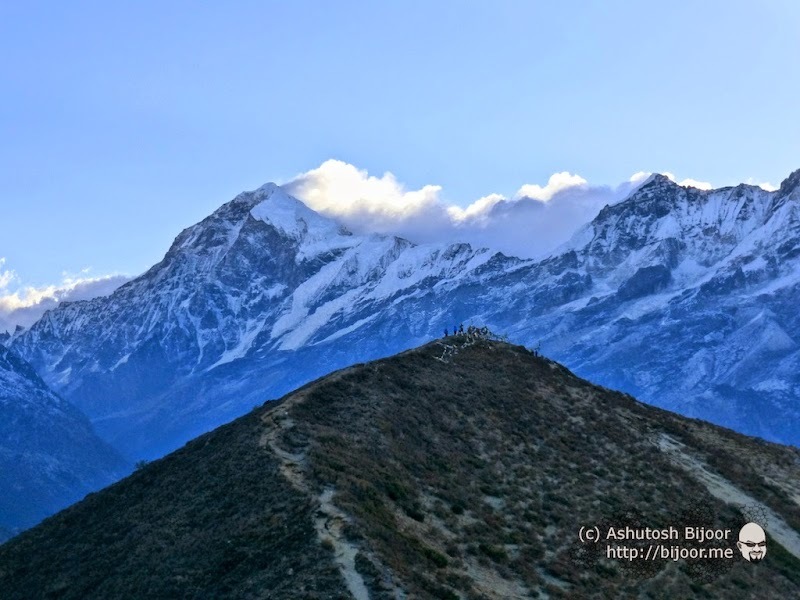 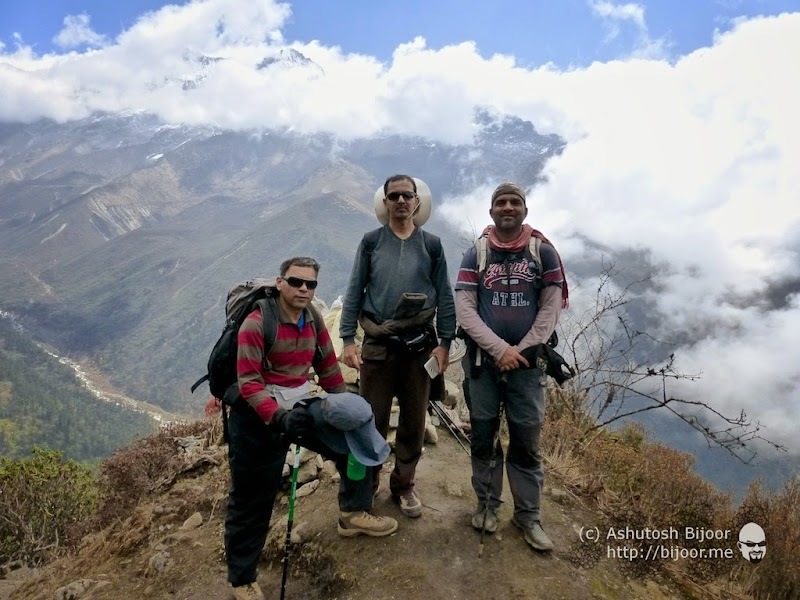 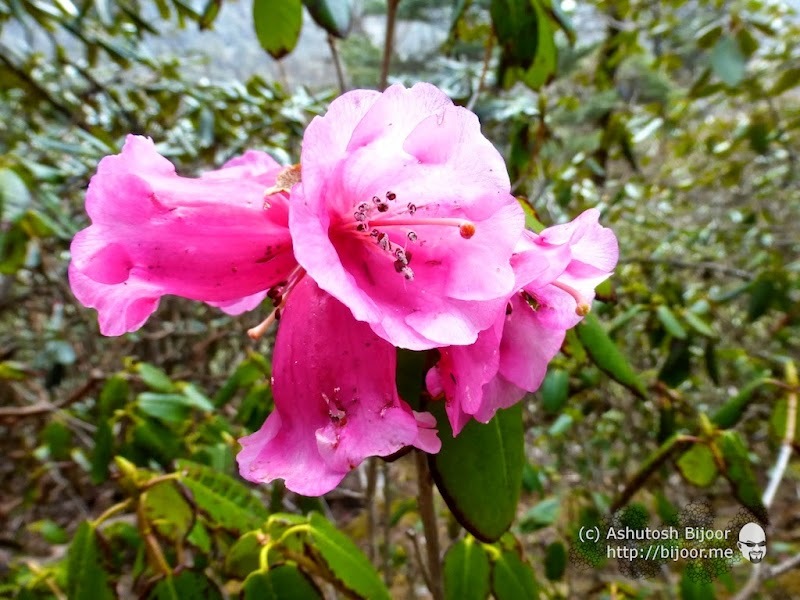 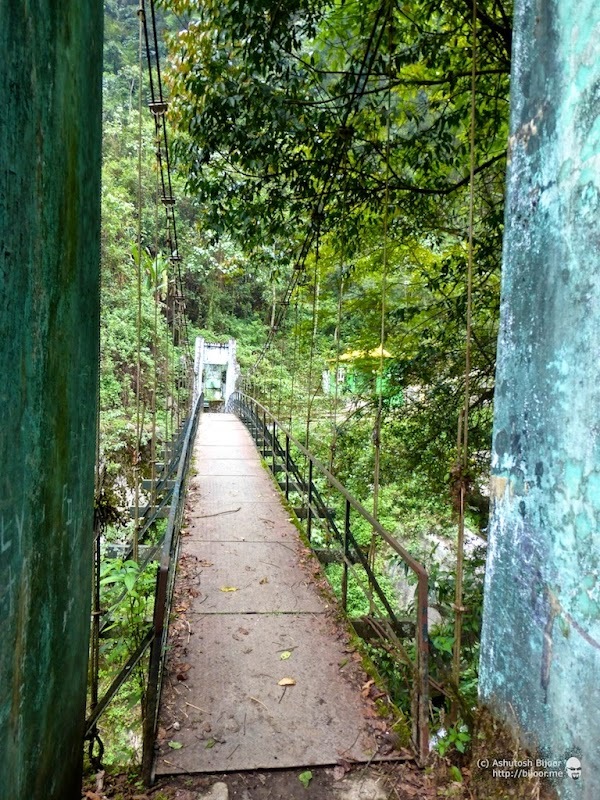 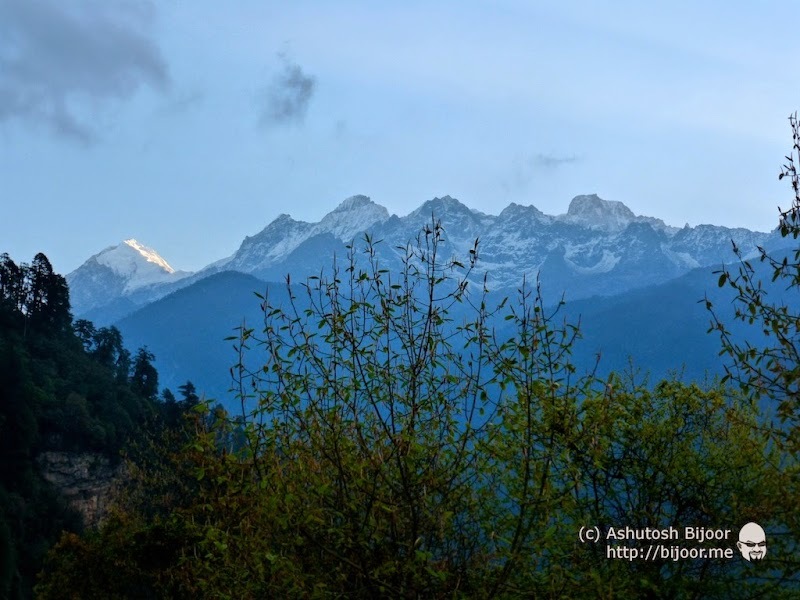 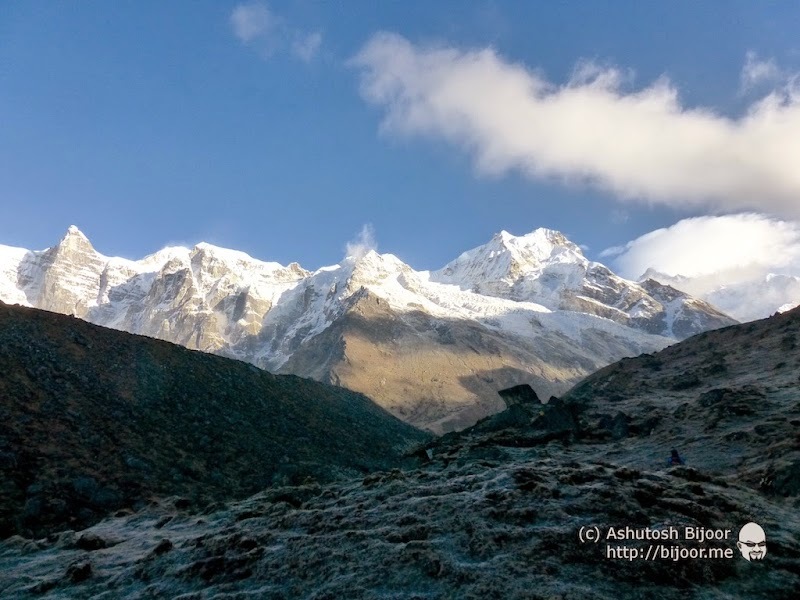 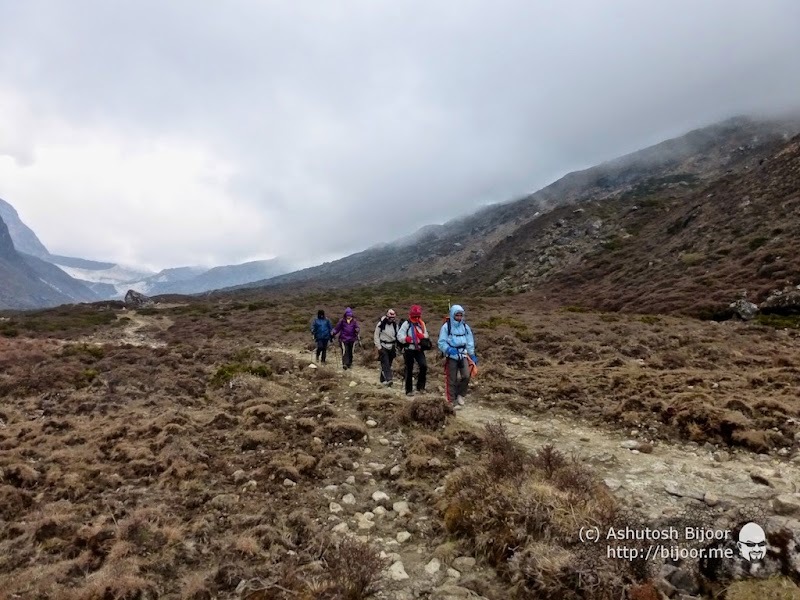 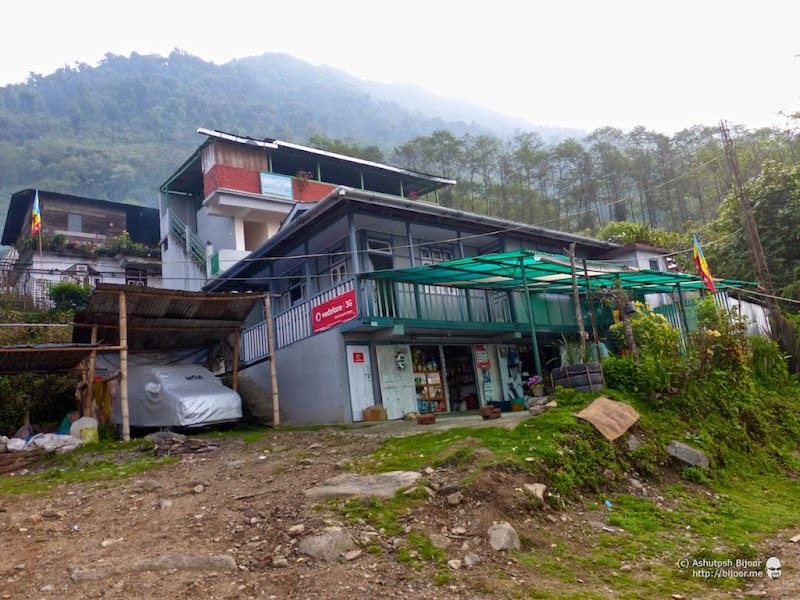 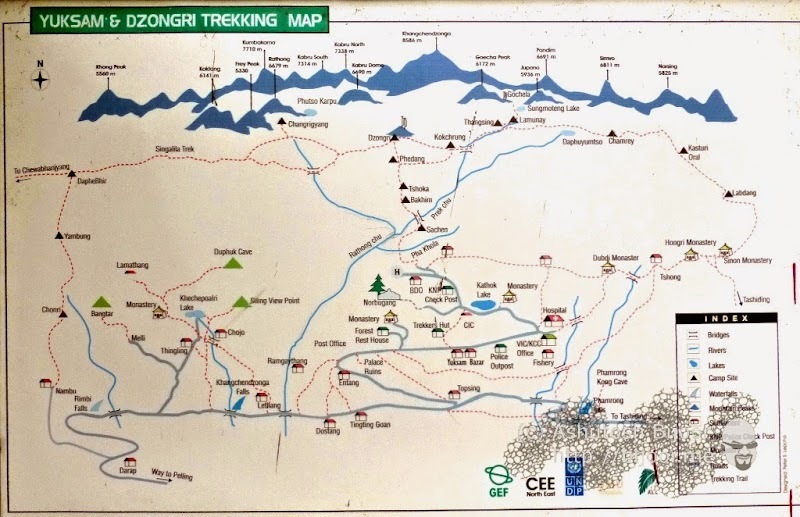 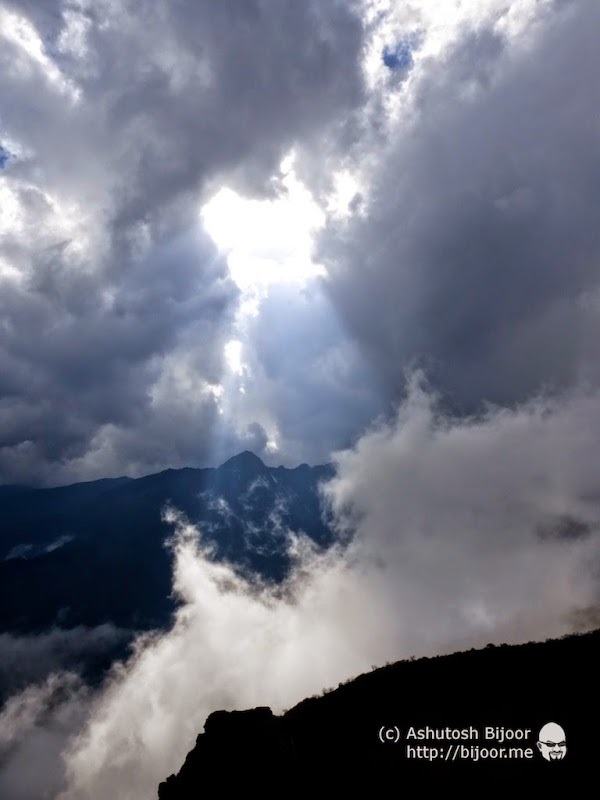 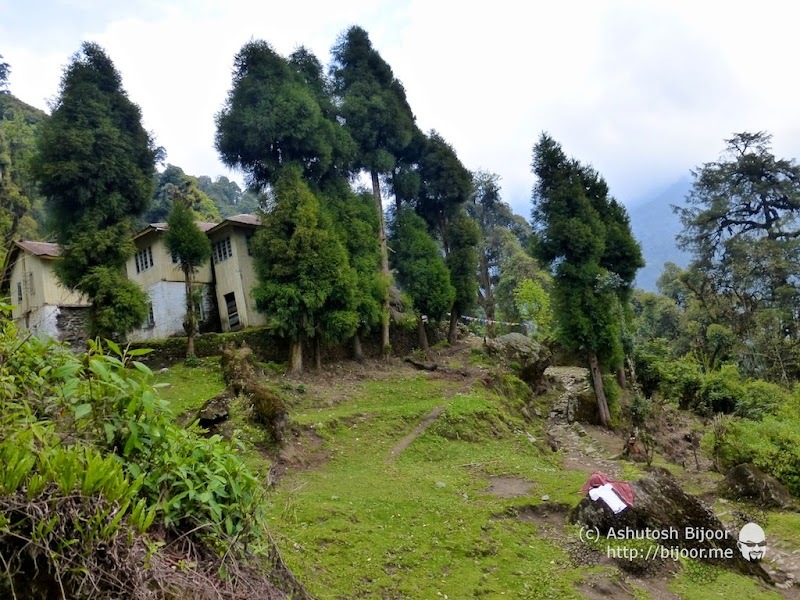 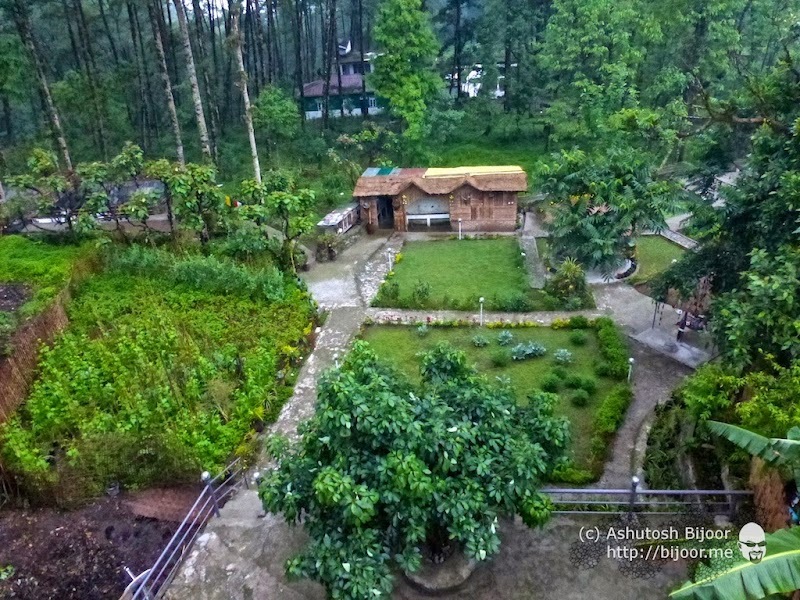 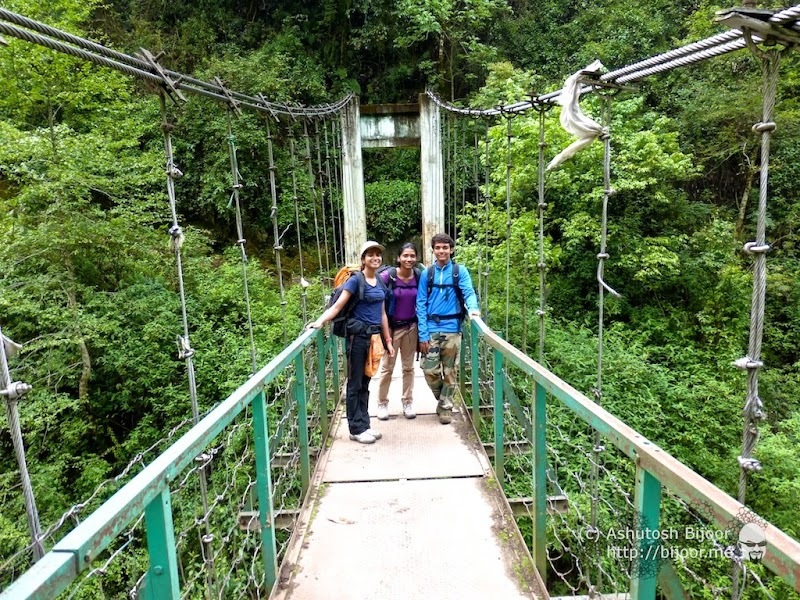 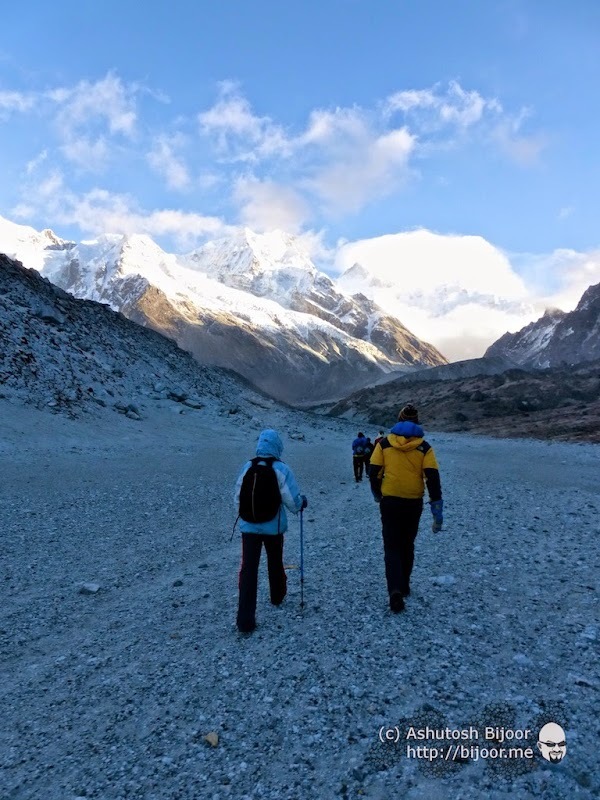 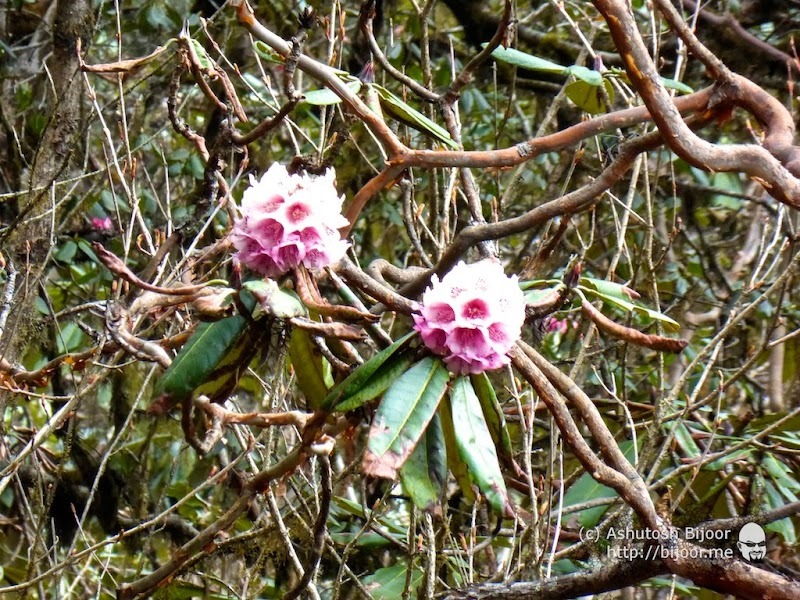 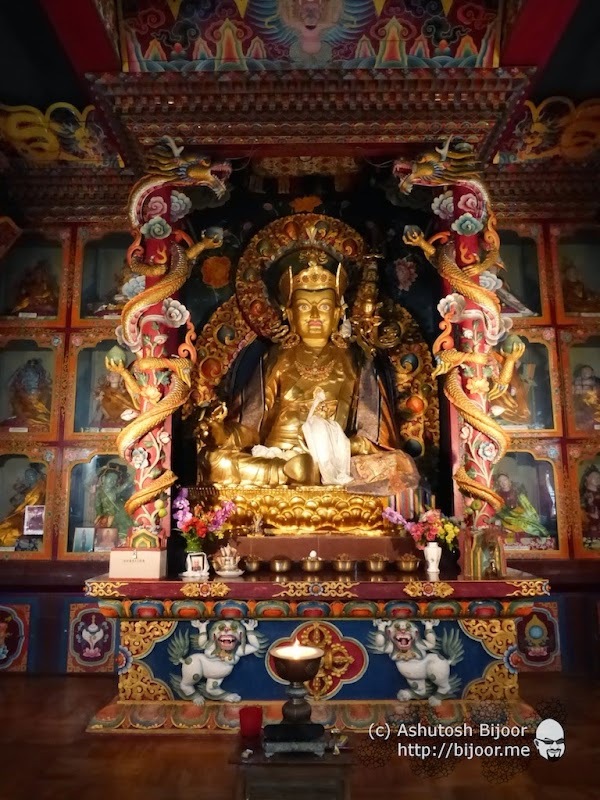 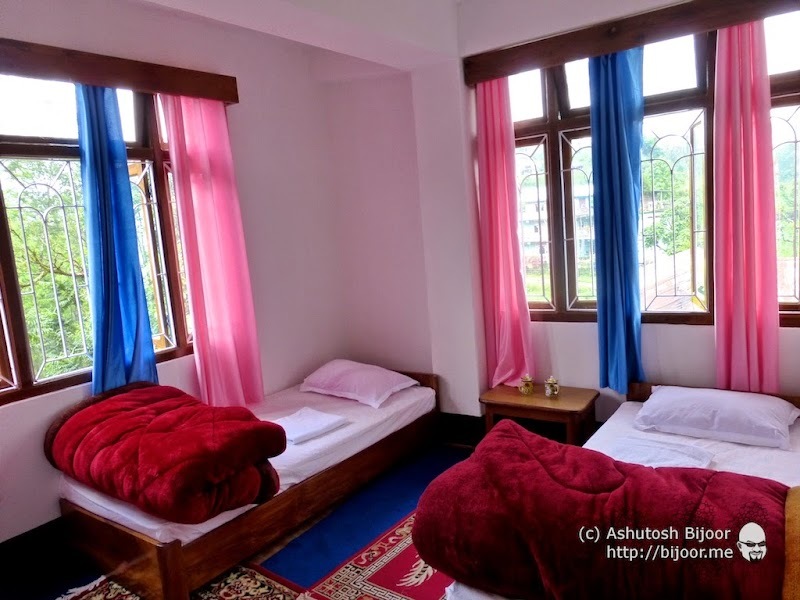 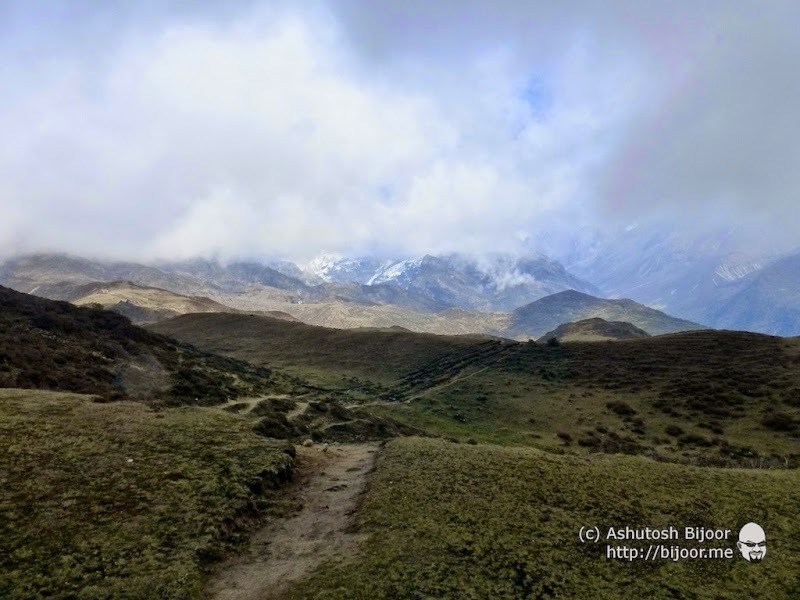 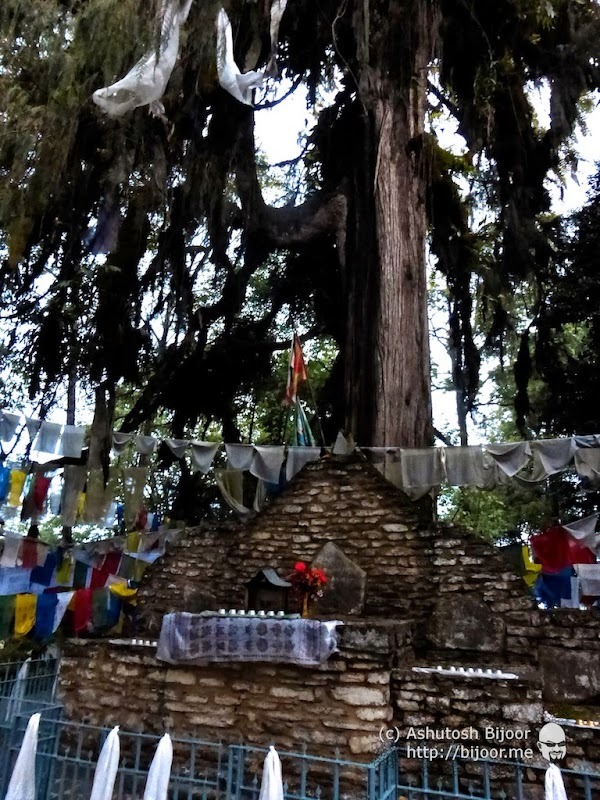 The most well known trekking route in Sikkim is the Khangzenchenzonga (Kanchenjunga) Trekking Trail that leads from Yuksom to the Goecha La pass. 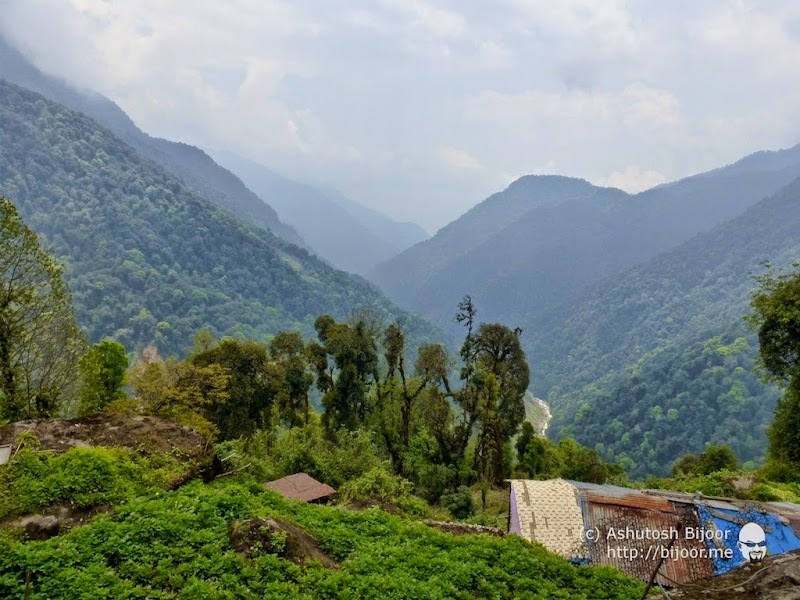 Starting at the highest motorable road in Sikkim at Yuksom, a quaint little town at an altitude of 5670 feet above mean sea level, ending at Goecha La pass at 16,207 feet above mean sea level. 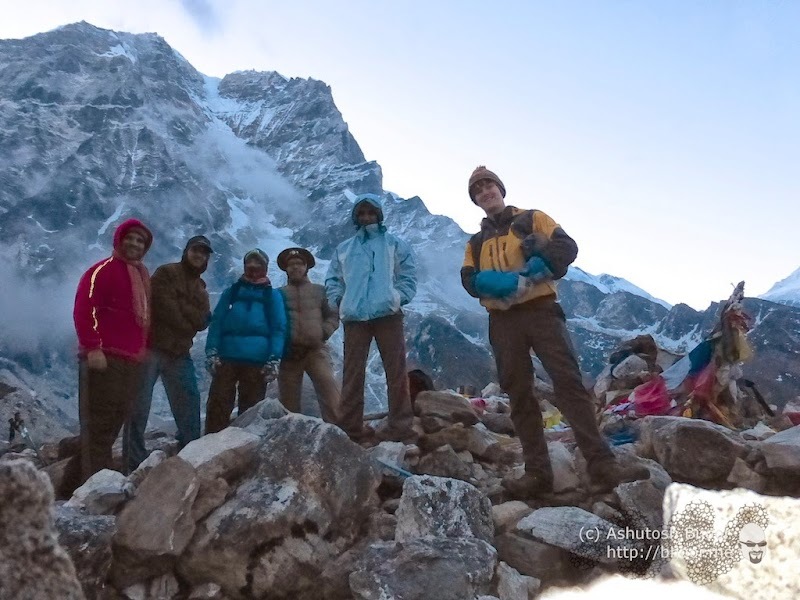 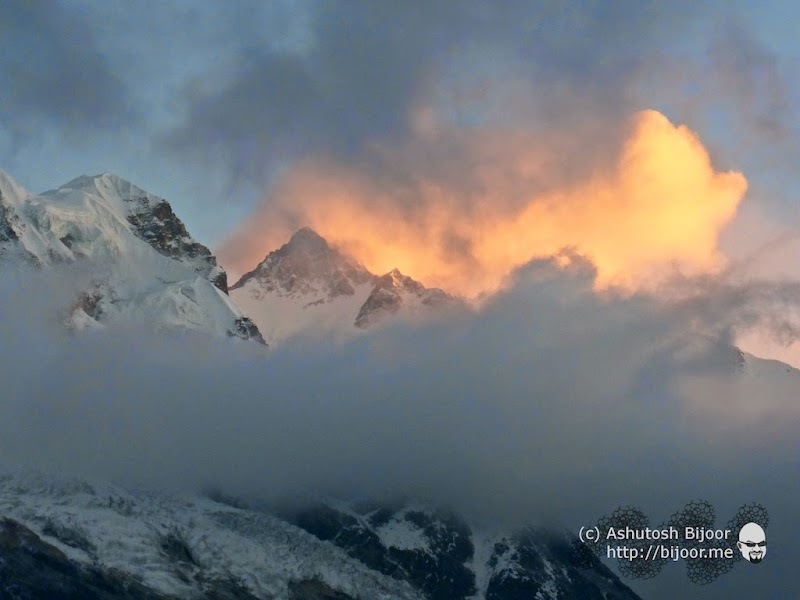 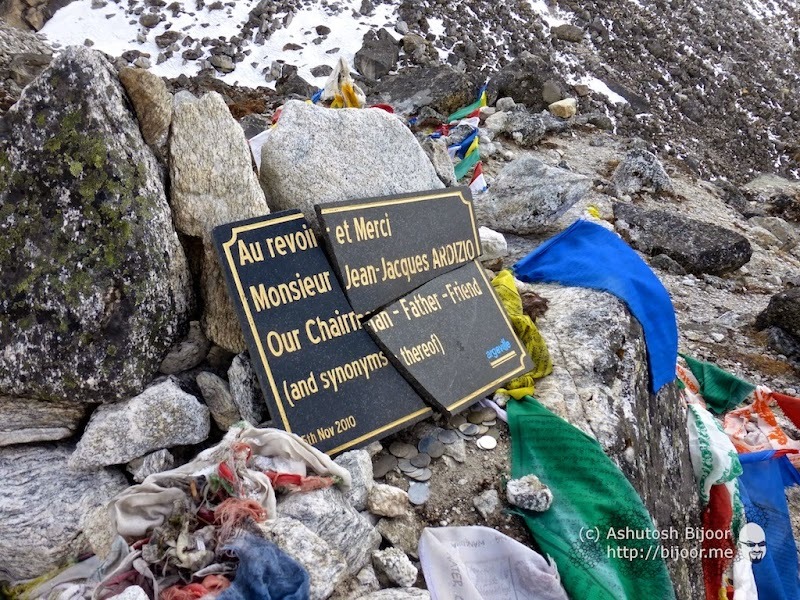 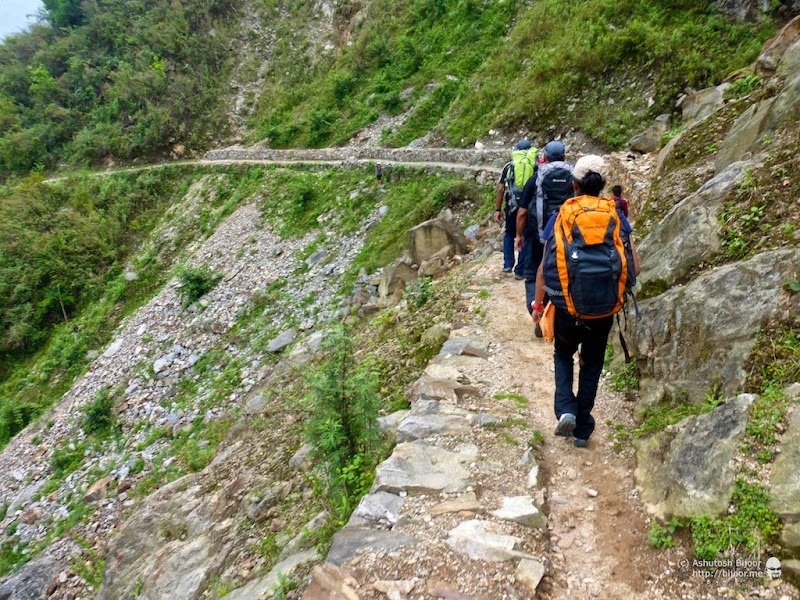 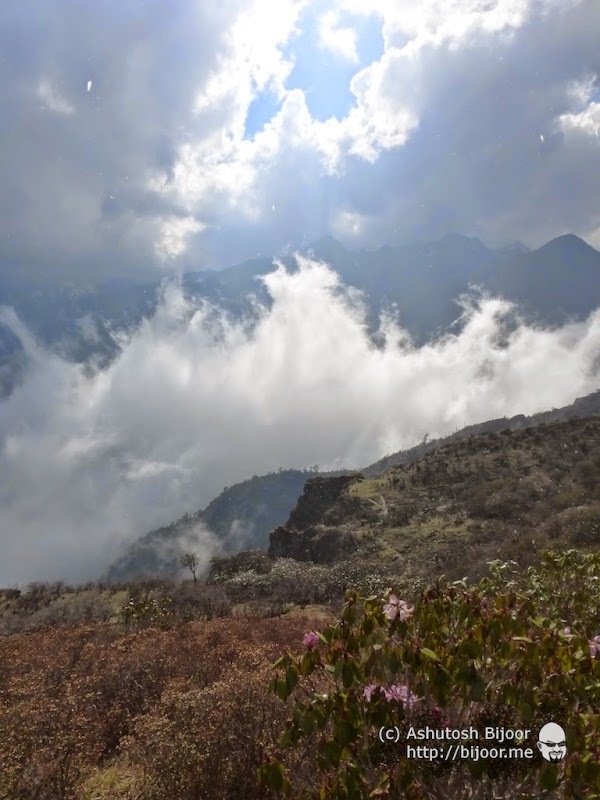 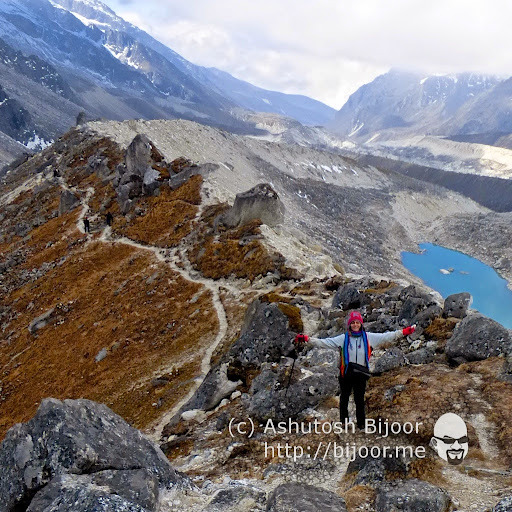 With a total altitude gain of over 10,000 feet, this trek is not for the faint hearted. 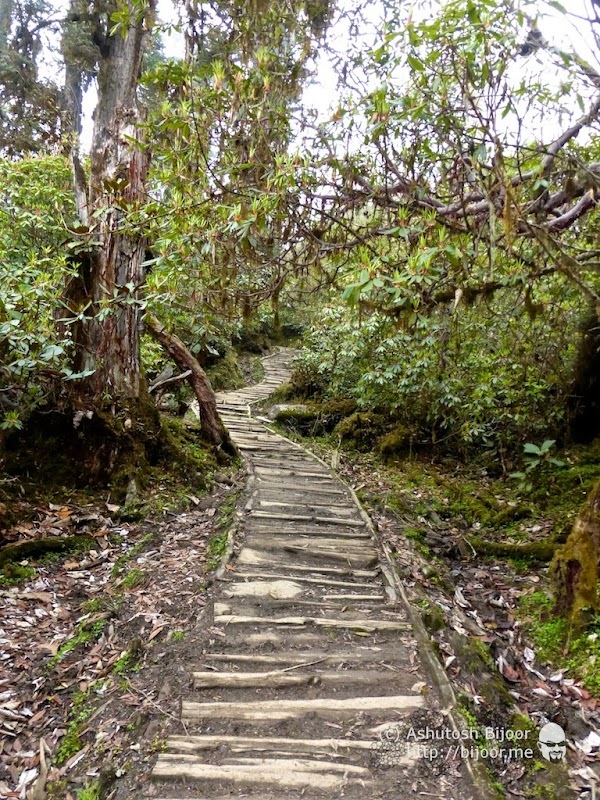 But it is a trek that anyone can do with a little bit of determination and patience! 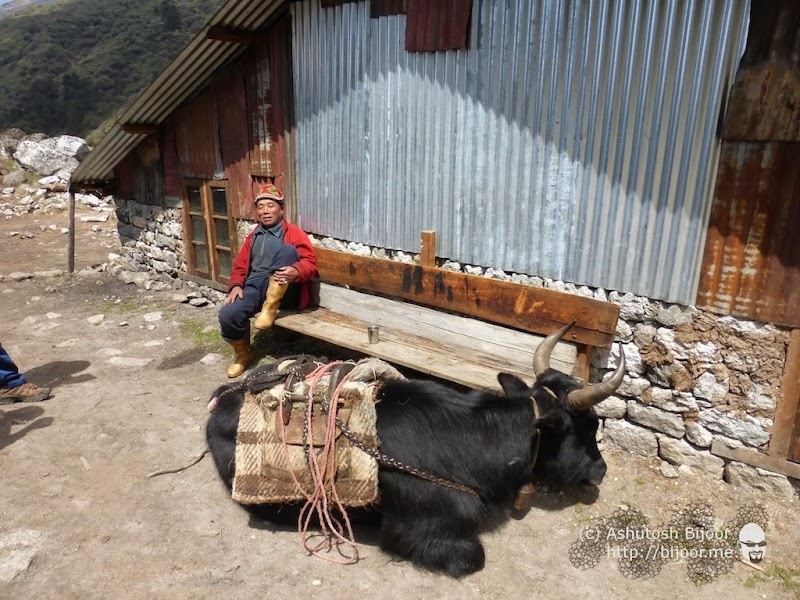 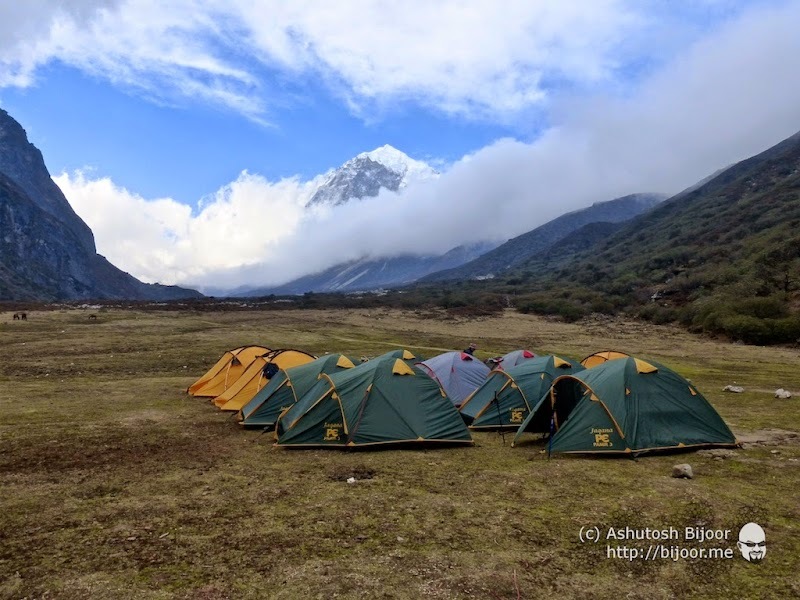 Once the mules and yaks arrived, our guide Bir and his group of sherpas quickly setup our tents. 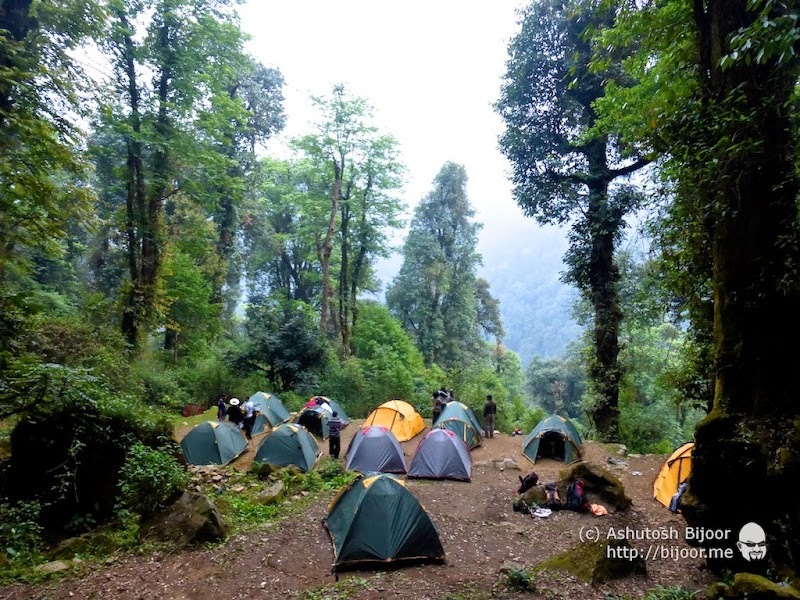 These were 3-person tents and our group of 28 trekkers required 10 tents in all. 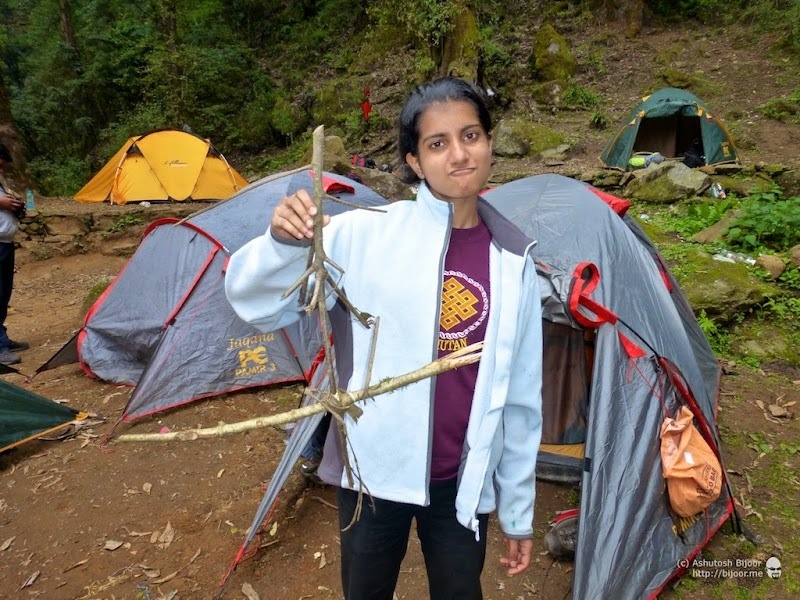 Meanwhile I and Shimul made hangers out of twigs and hung our T-shirts out to dry in the sun. 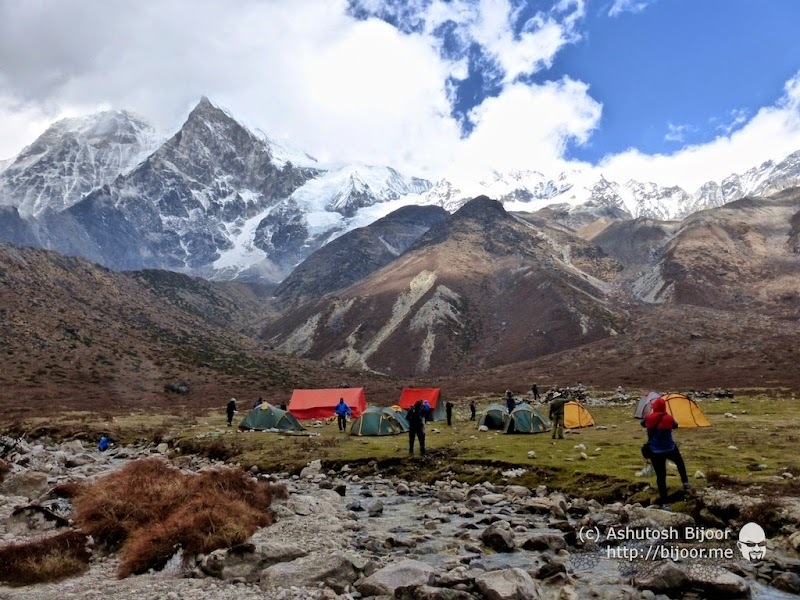 But later that evening it started raining heavily, and the entire camp site was converted into slushy mud, and some tents had water seeping through. 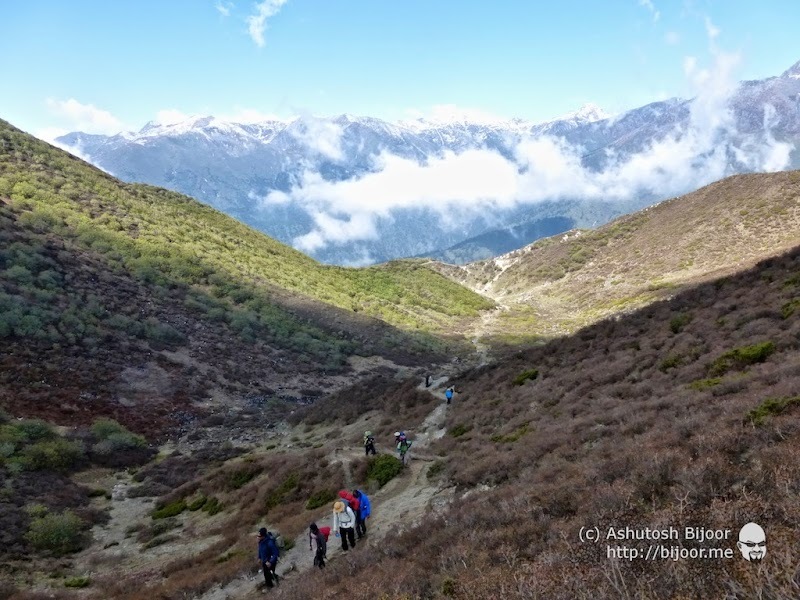 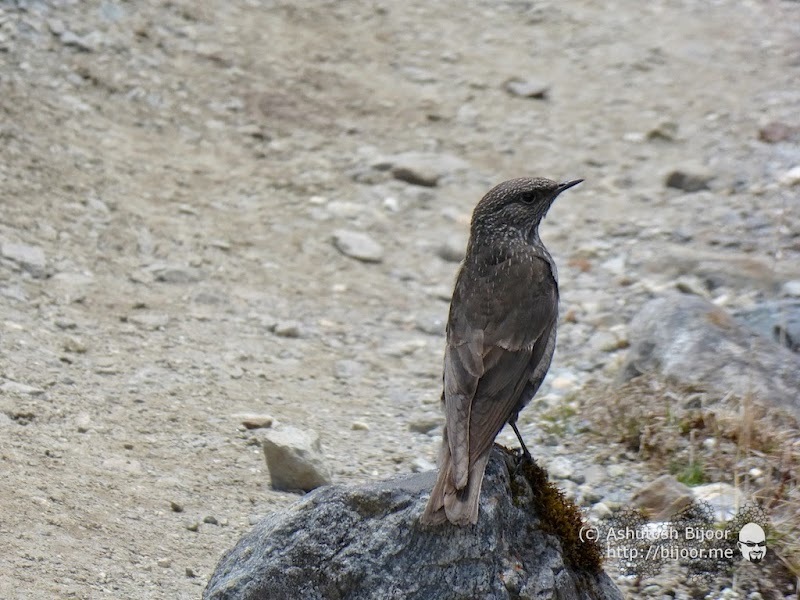 Plus, there were small insects that buzzed around and bit any exposed parts – leaving itchy marks that remained as souvenirs beyond the trek. 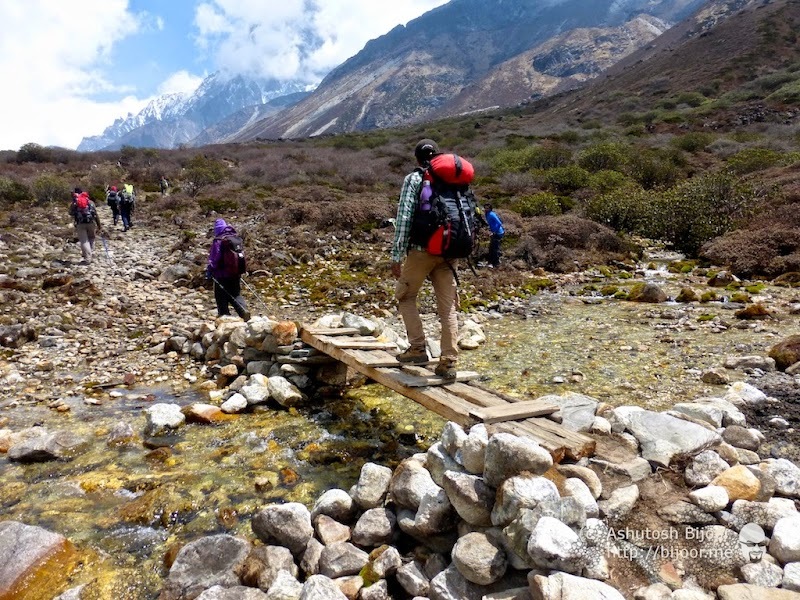 This was not the best start for the trek. 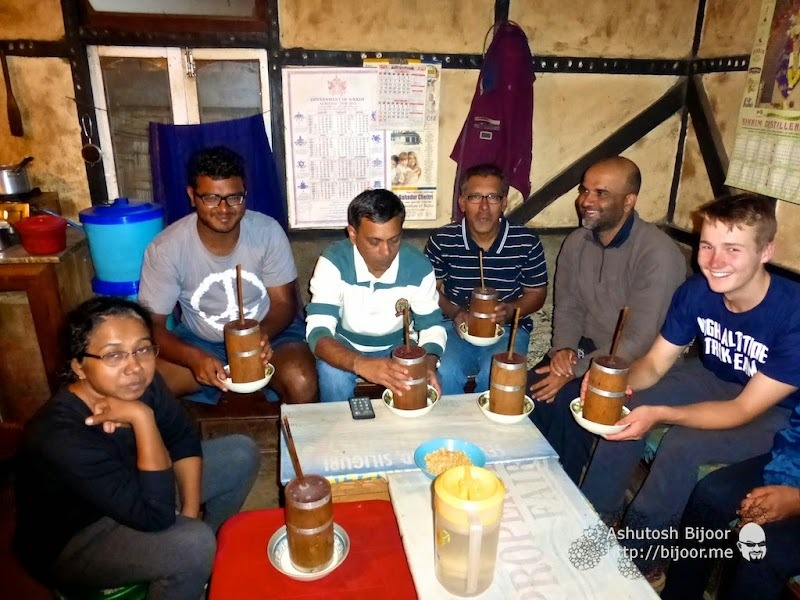 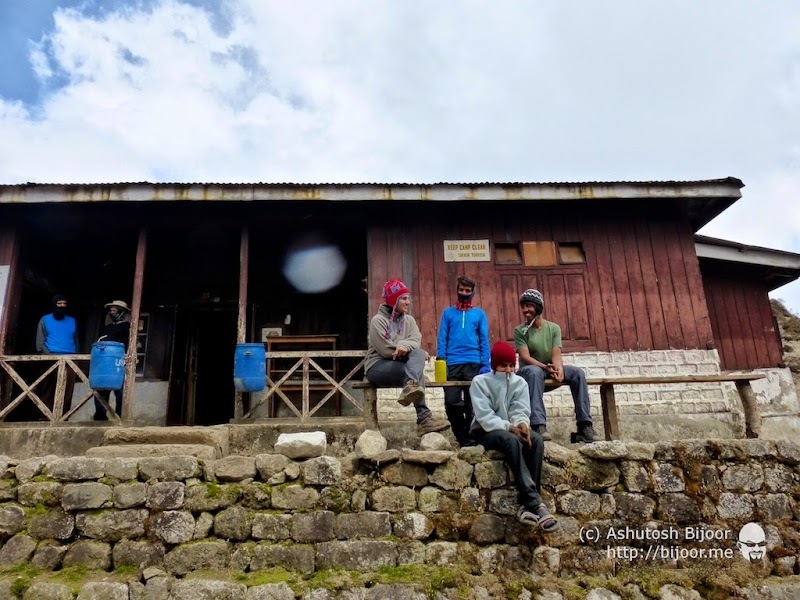 A small outhouse at a local home in Bakhim makes an ideal resting point, where we took a short halt to have our packed lunch and some hot tea. 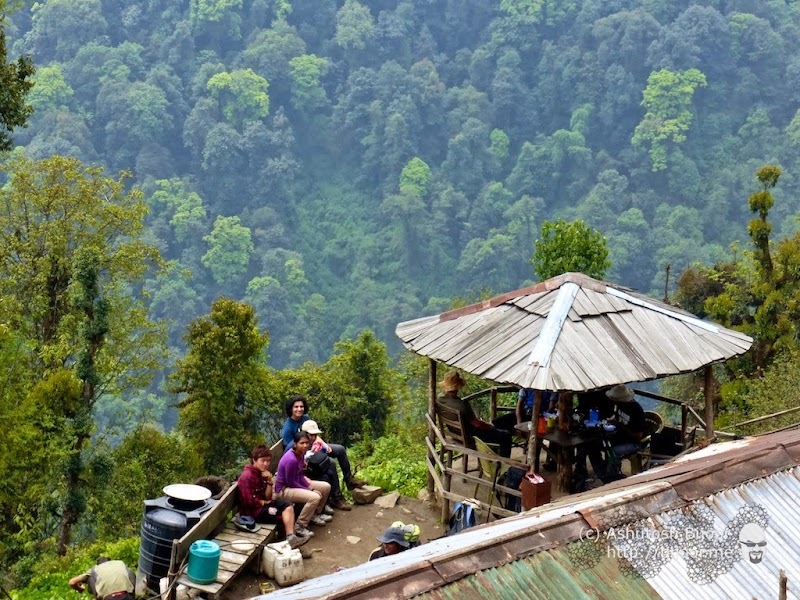 The view from the guest house is of the valley below with the Prek Chu river flowing, and Yuksom somewhere far into the distance. 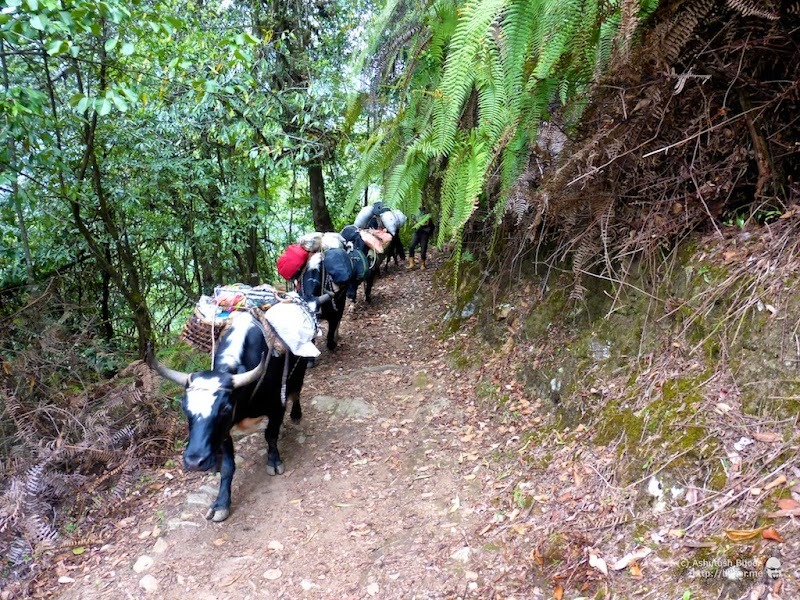 But we still have a further climb ahead to Tshoka. 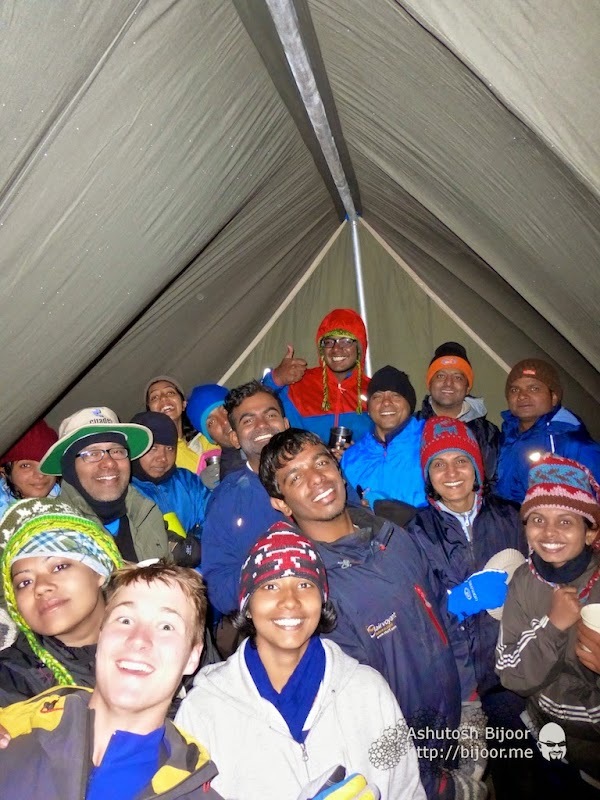 After tea, the entire huddle moved to a small stone shelter next to the camp, and we chatted and joked around trying to keep warm. 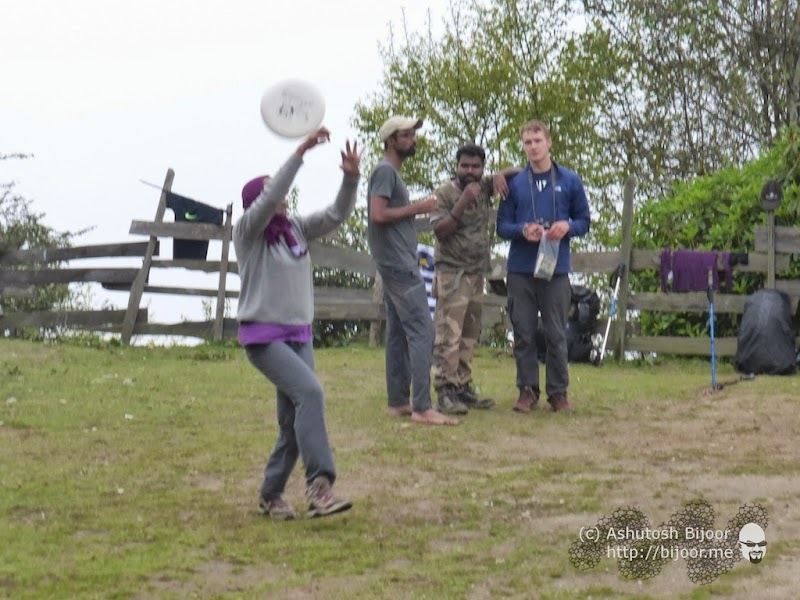 Lots of laughter and fun – we had a great crowd! 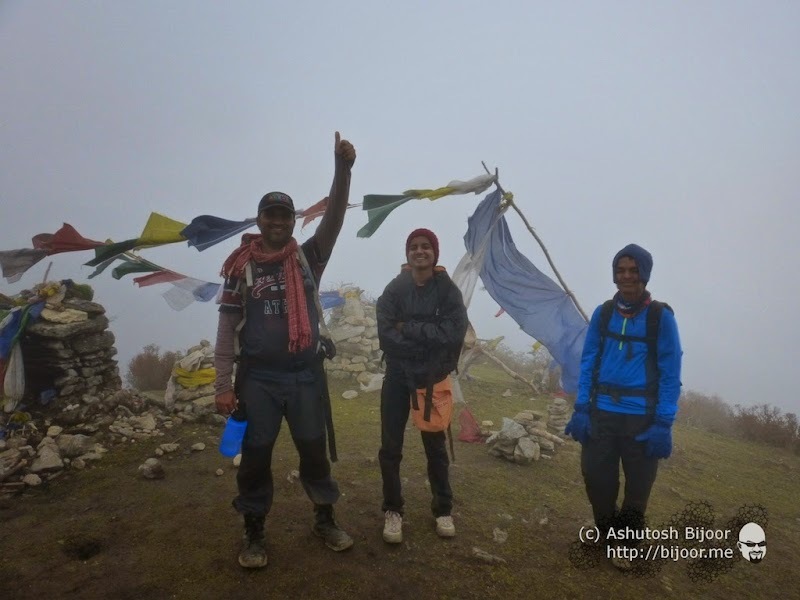 And what a feeling it was to reach the final point! 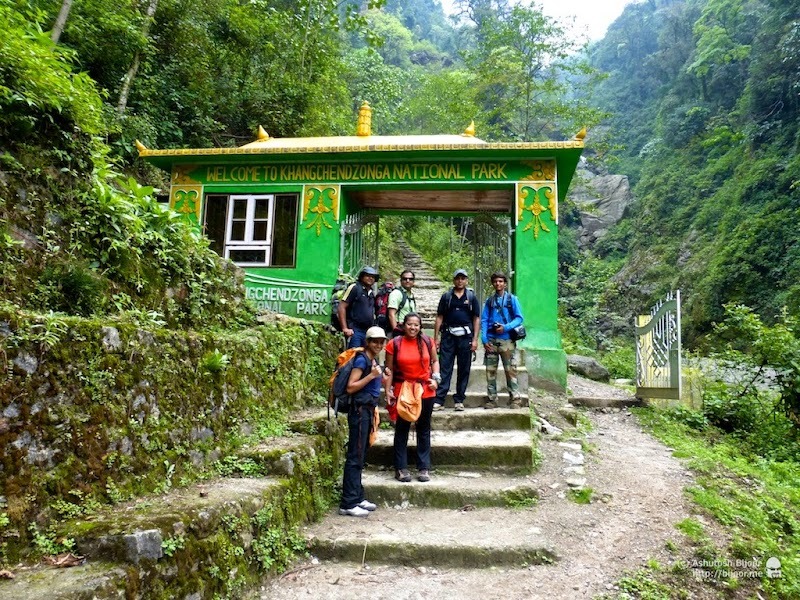 We had climbed from 5600 feet at Yuksom to 16200 feet in 6 days and this was the final destination! 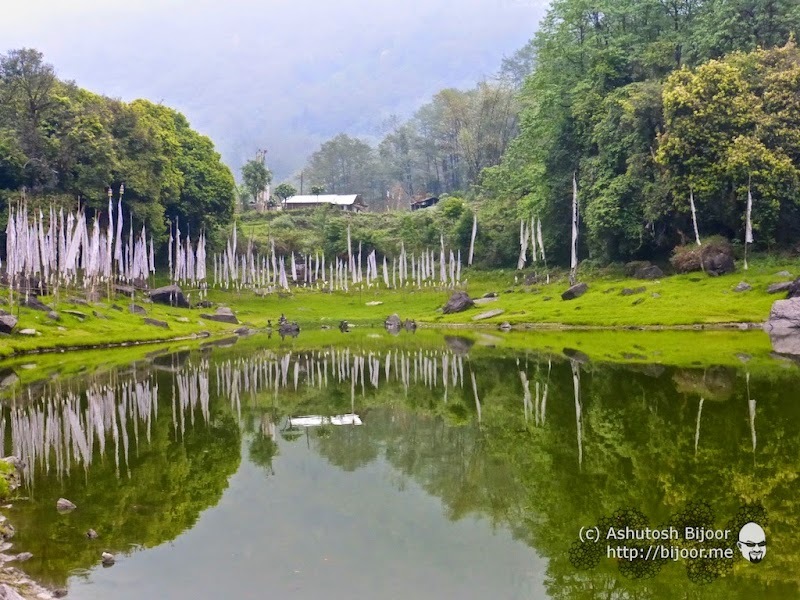 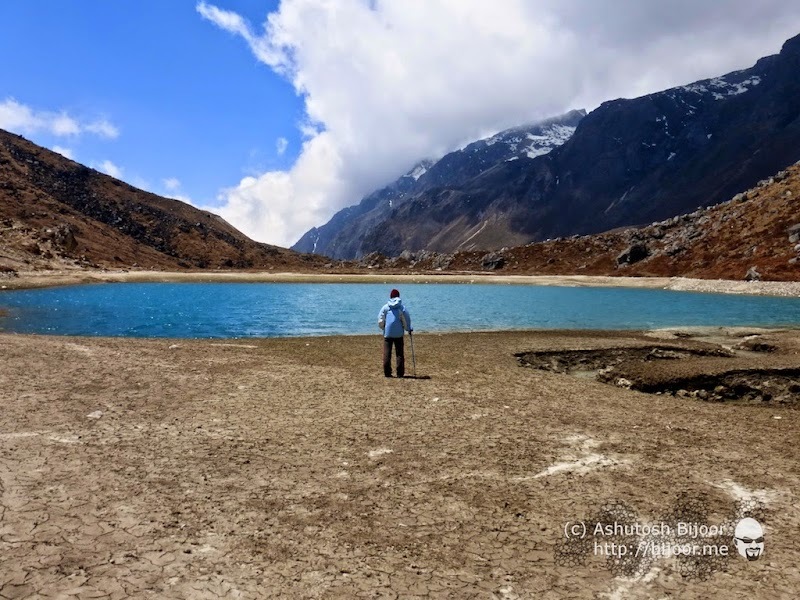 Samiti lake has crystal clear turquoise colored water with a small path that goes all around. 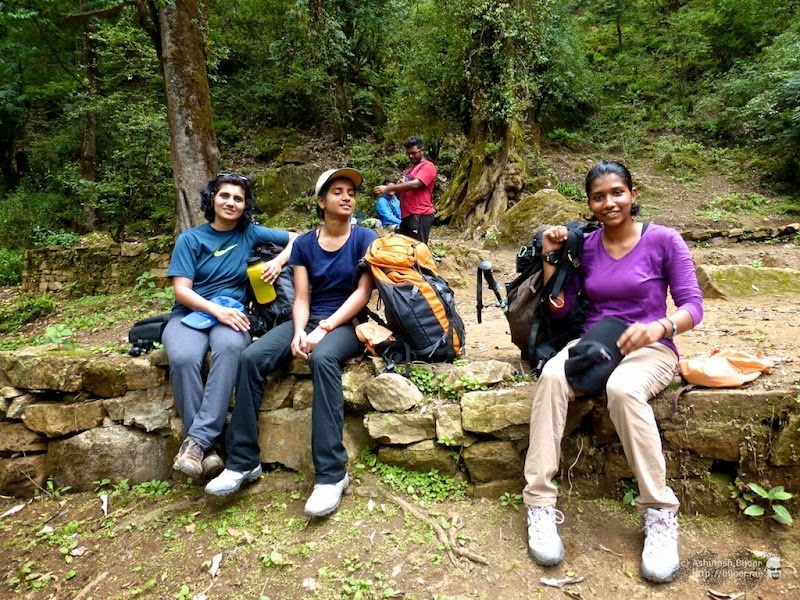 We lay around along the lake shore, resting till the other trekkers made their way down. 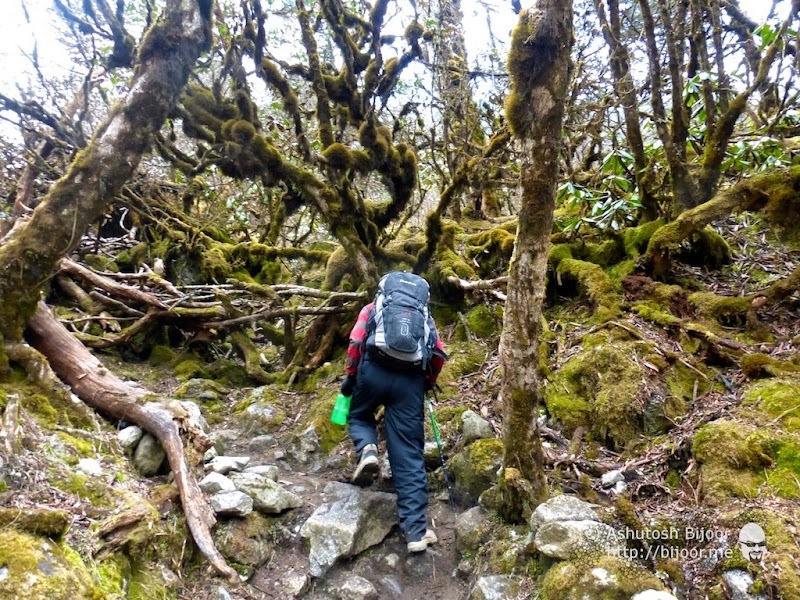 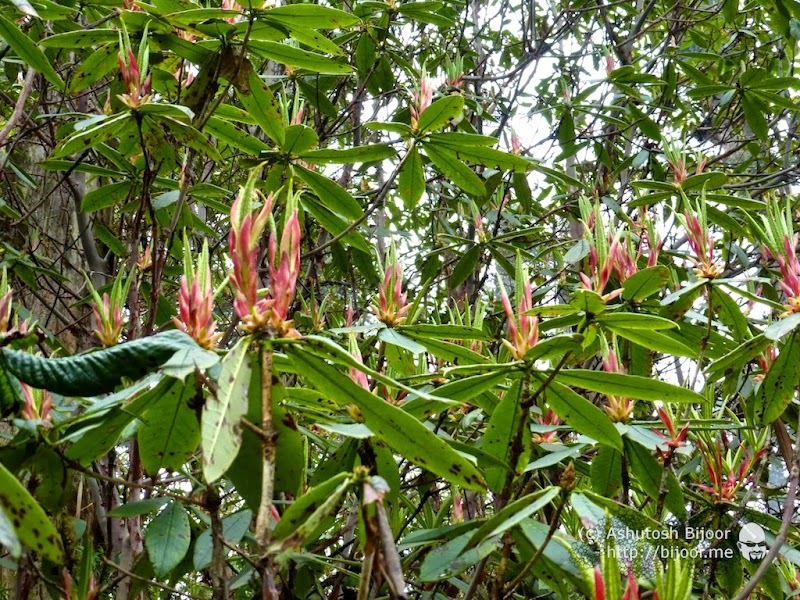 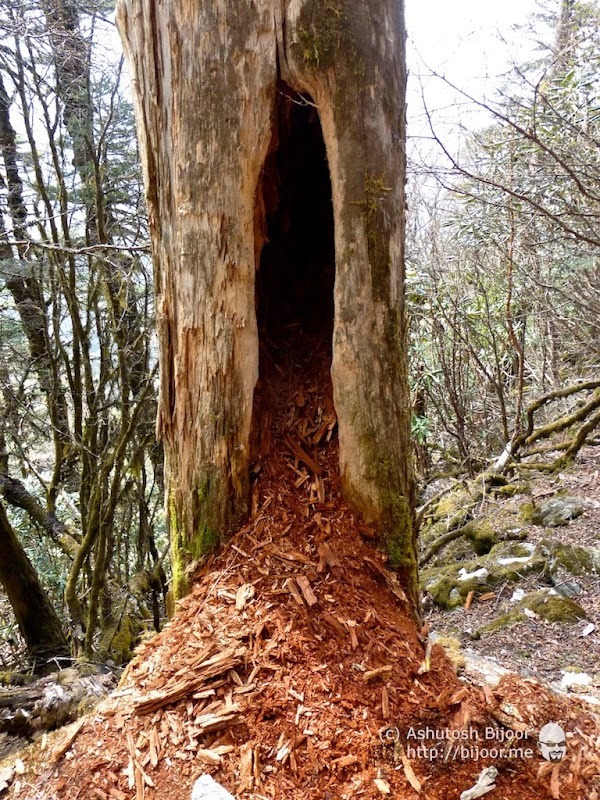 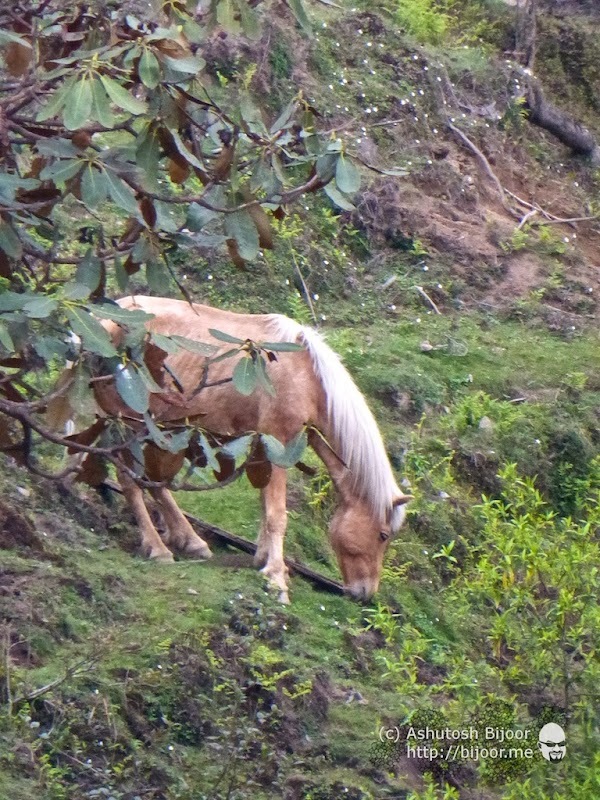 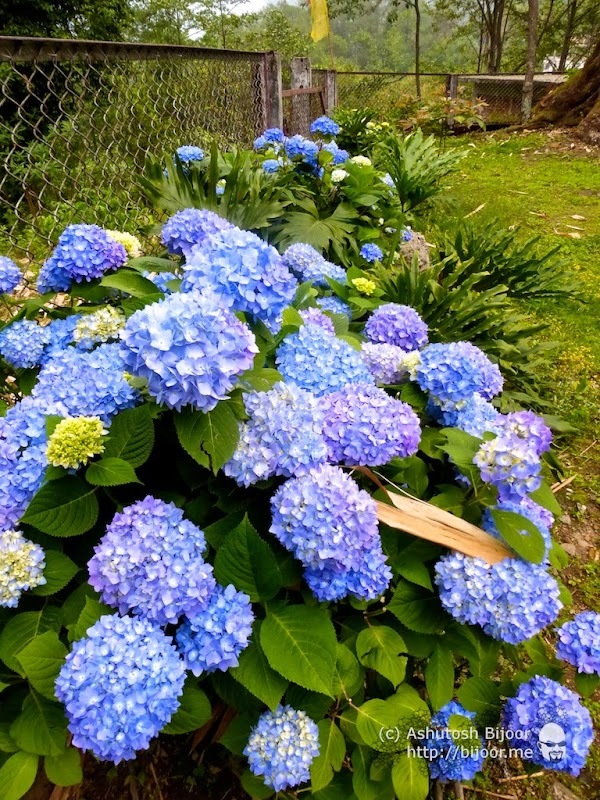 Now no more in a hurry to get the the top, we started noticing the beautiful flora and fauna of the mountains. 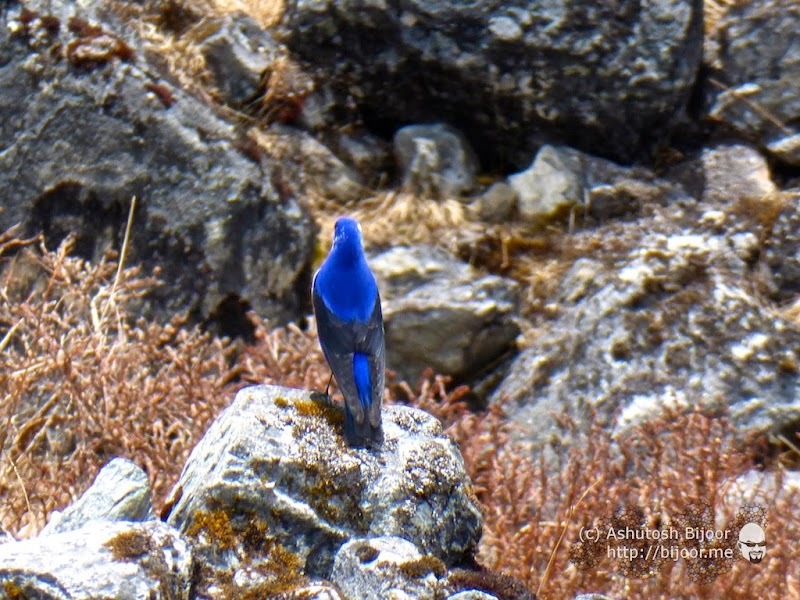 This bright beautiful blue bird is the very rare Grandala male (ref) Thanks Yogish, for pointing this out in the comments! 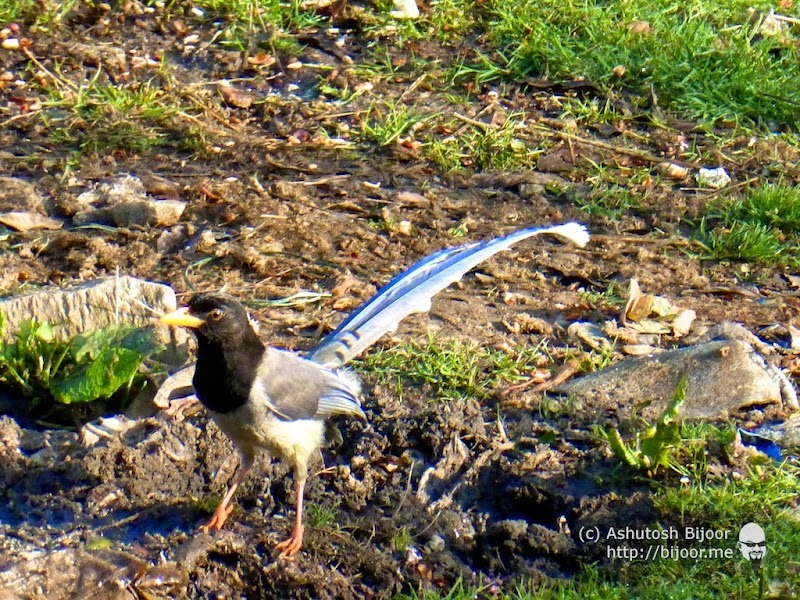 And this grey bird is the Grandala female. 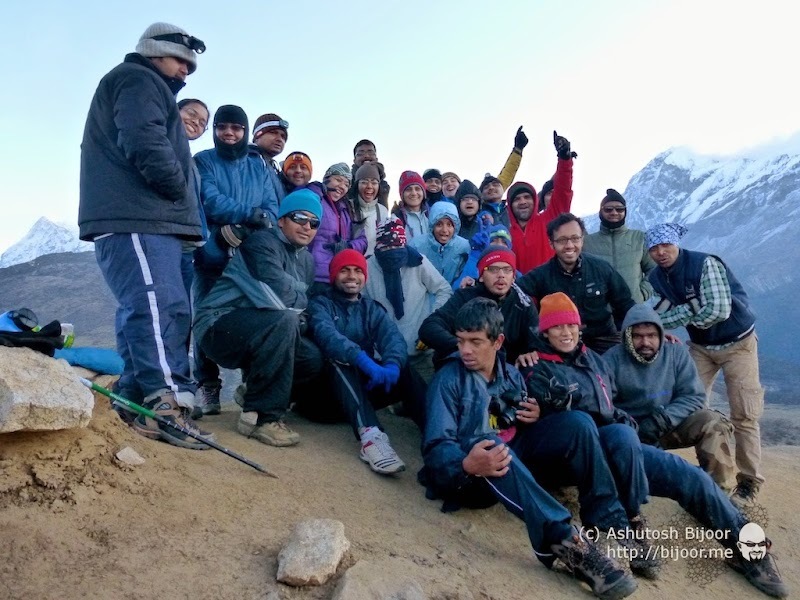 Again thanks to Yogish for the info! 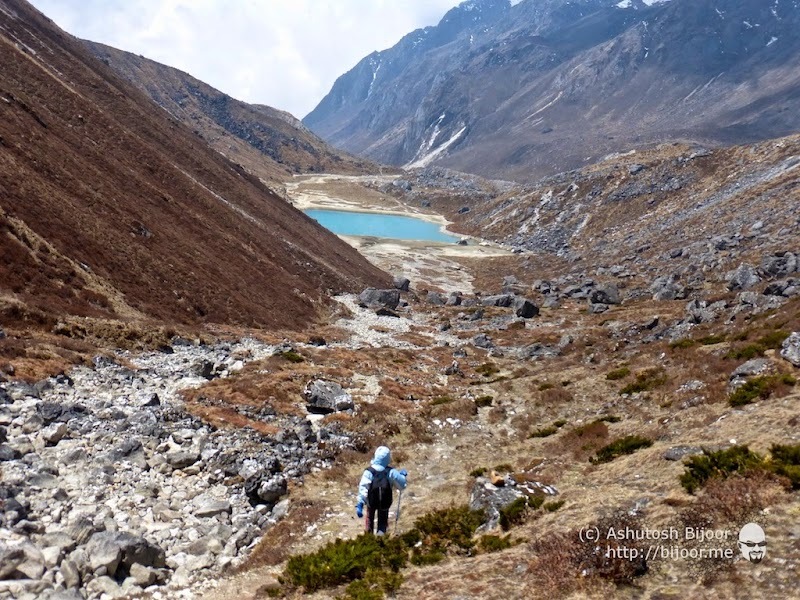 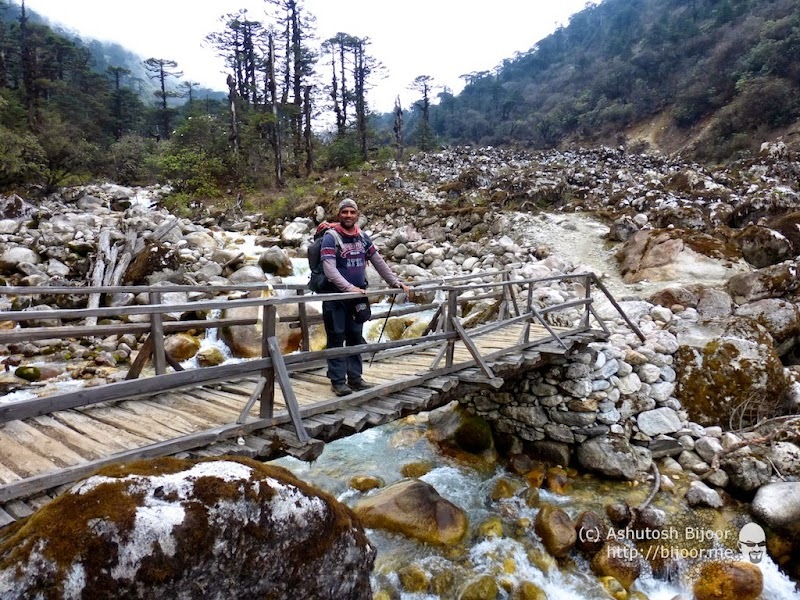 After a lunch break at our camp at Lamunay, we head out to trek to Kokchurang next to the Prek Chu river that we had passed on our way up. 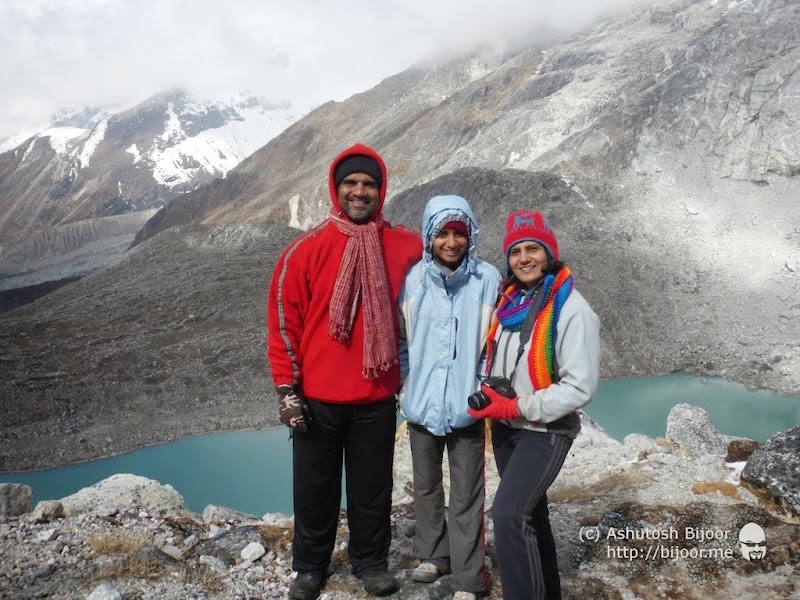 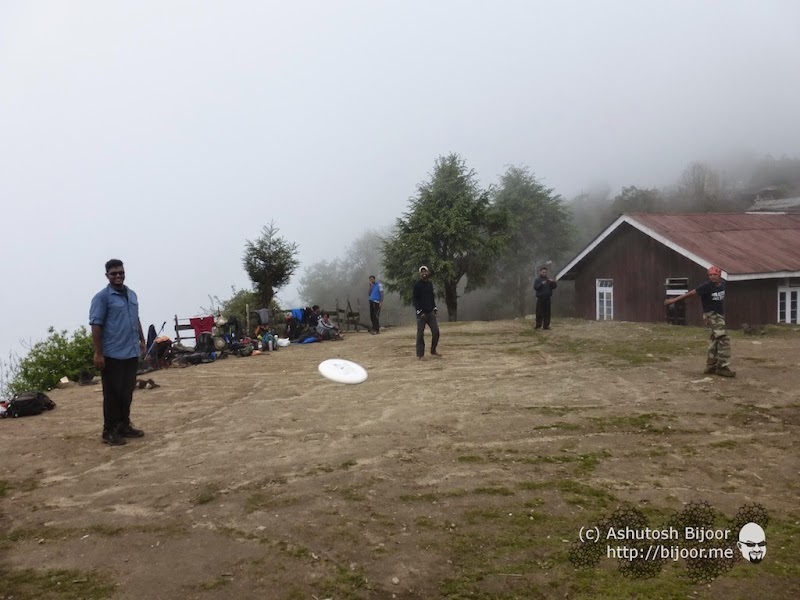 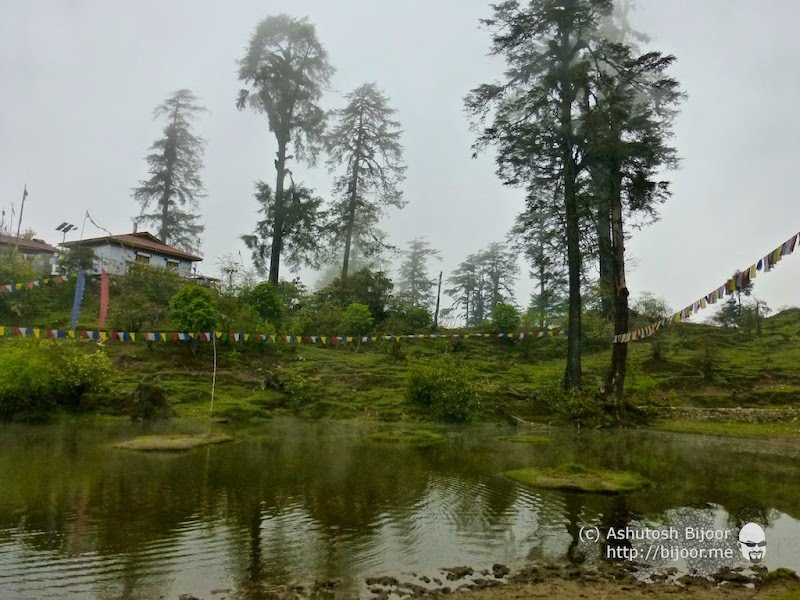 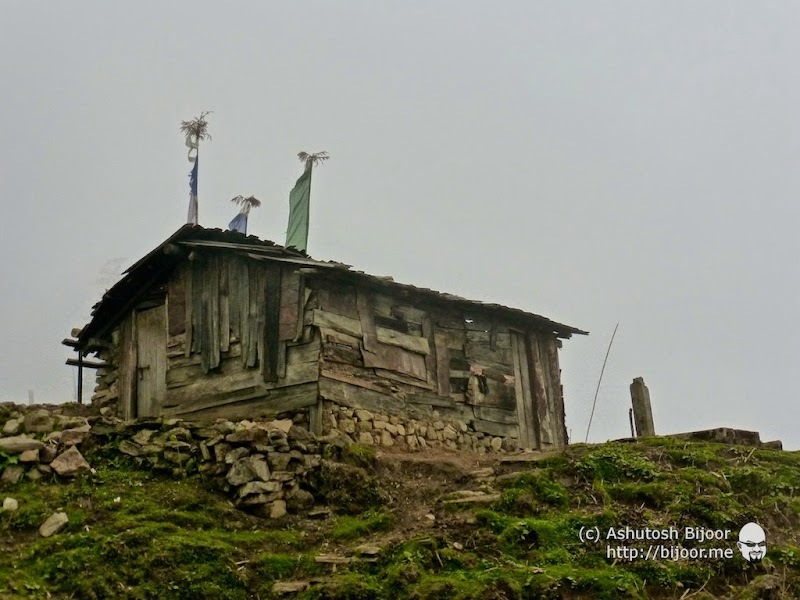 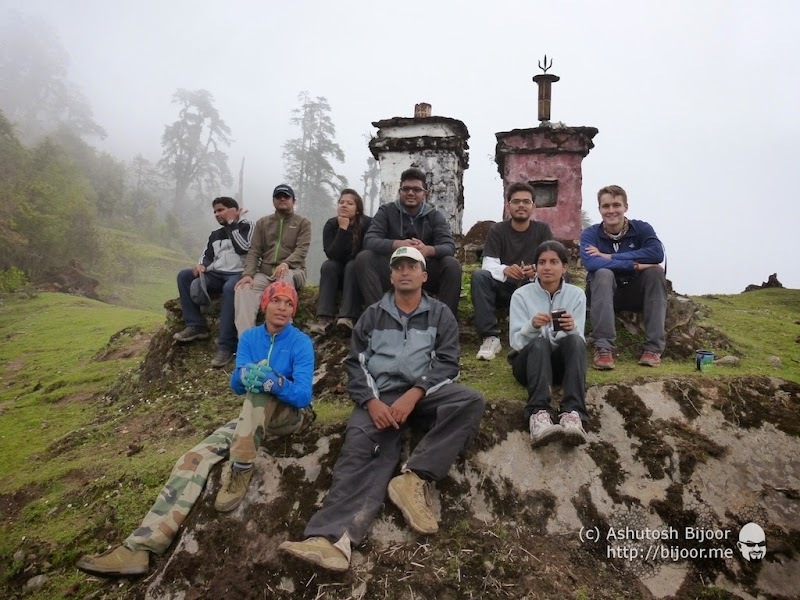 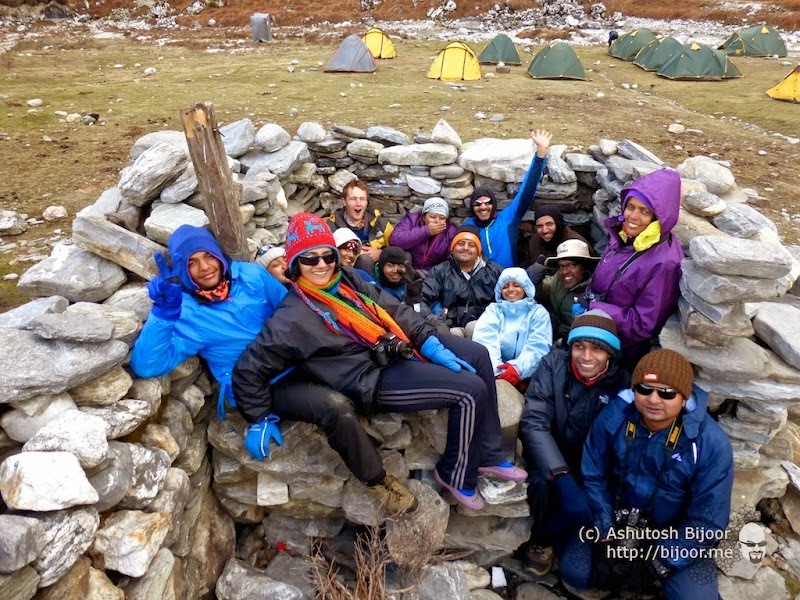 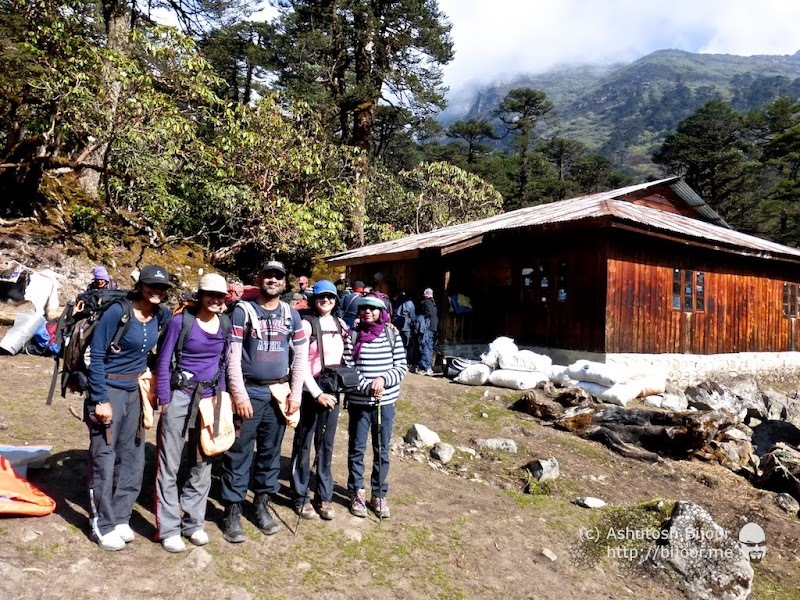 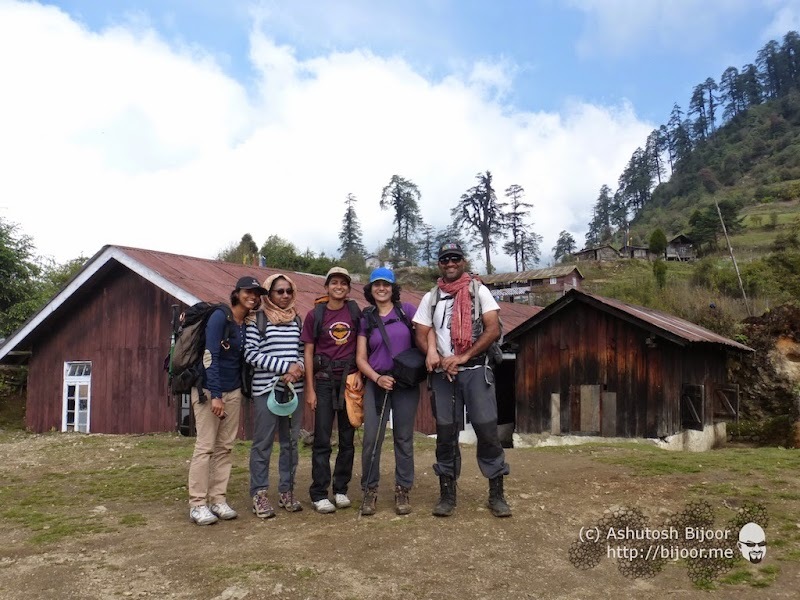 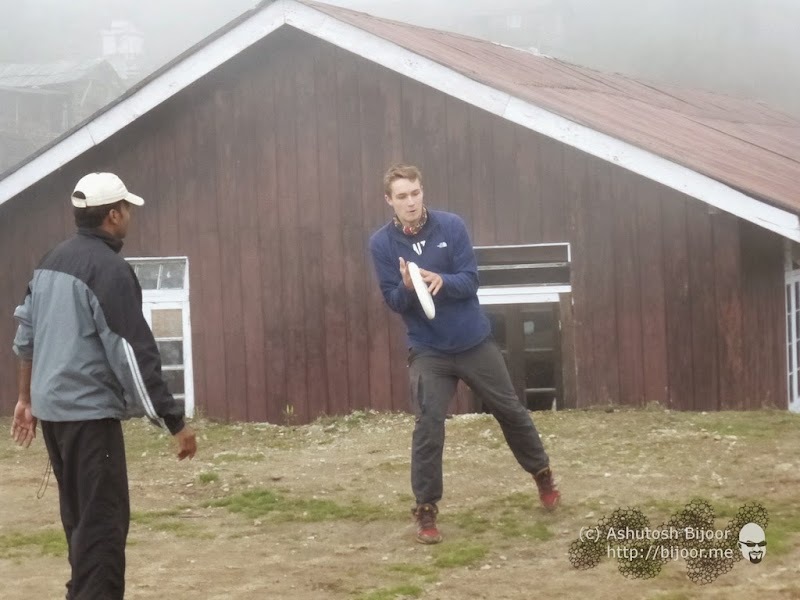 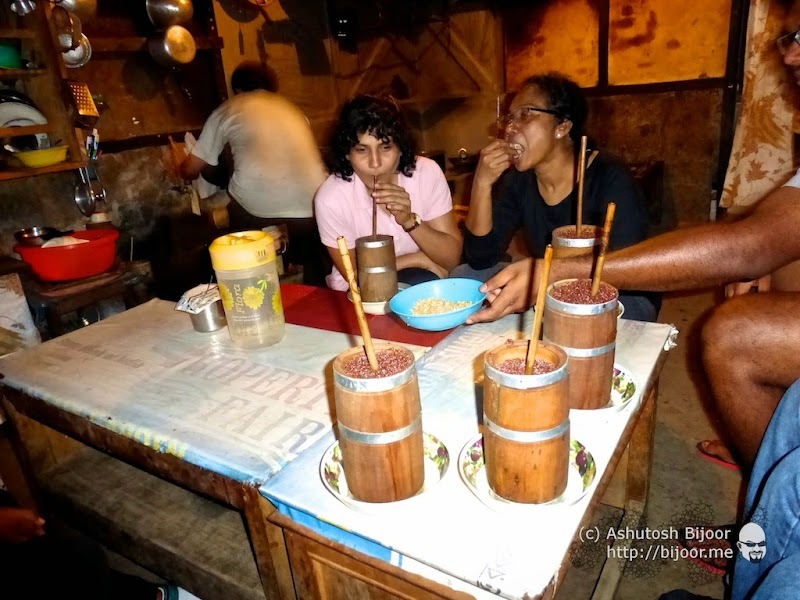 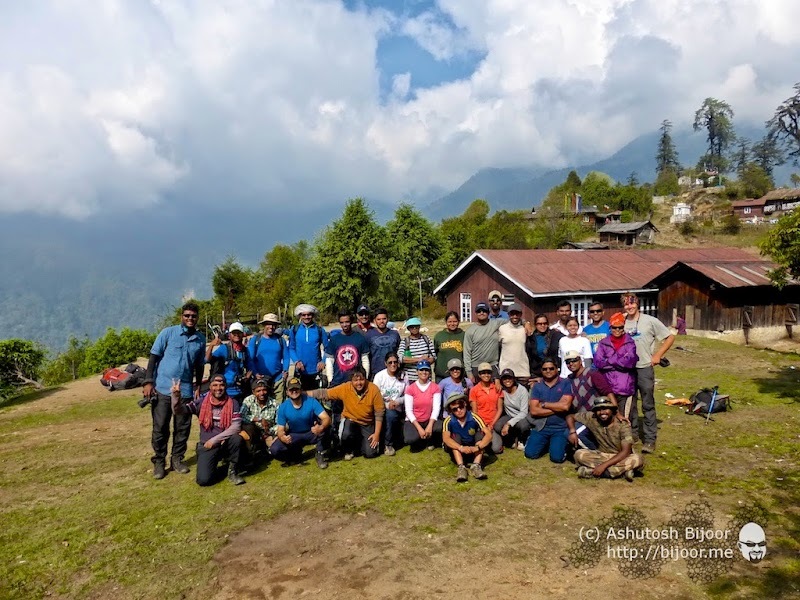 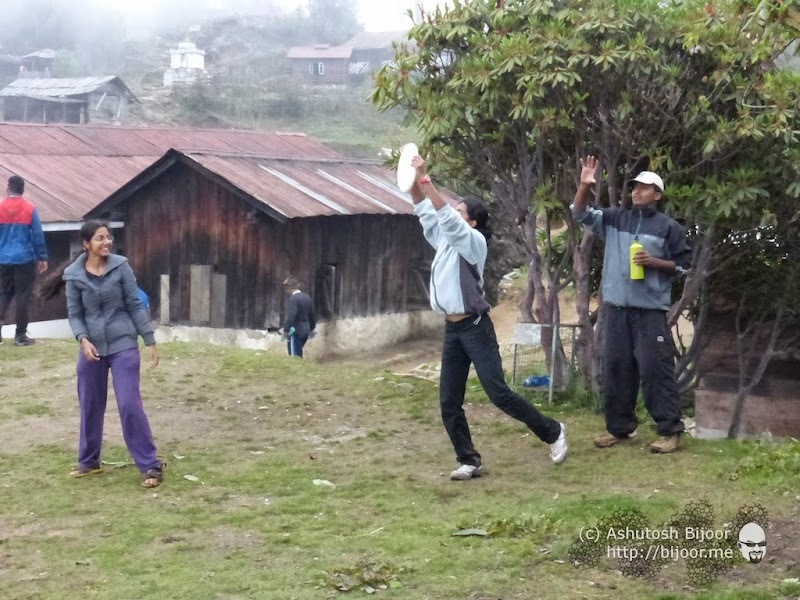 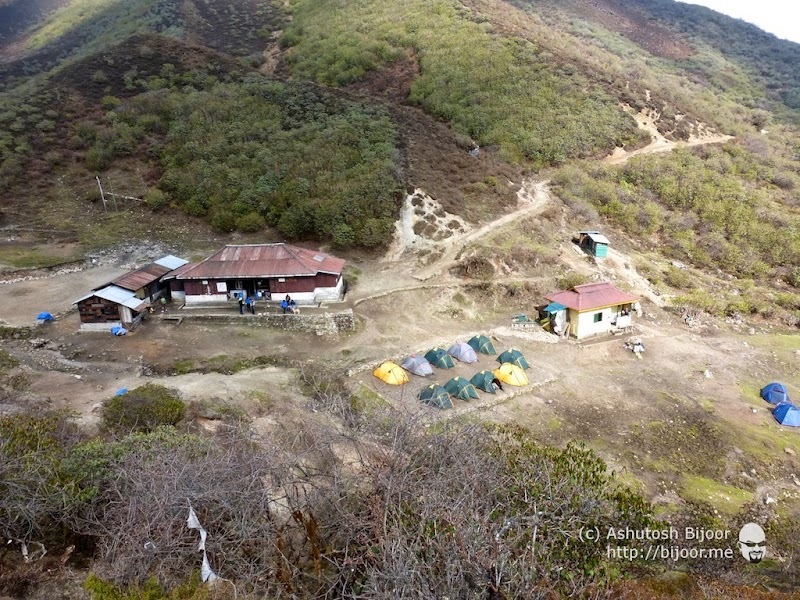 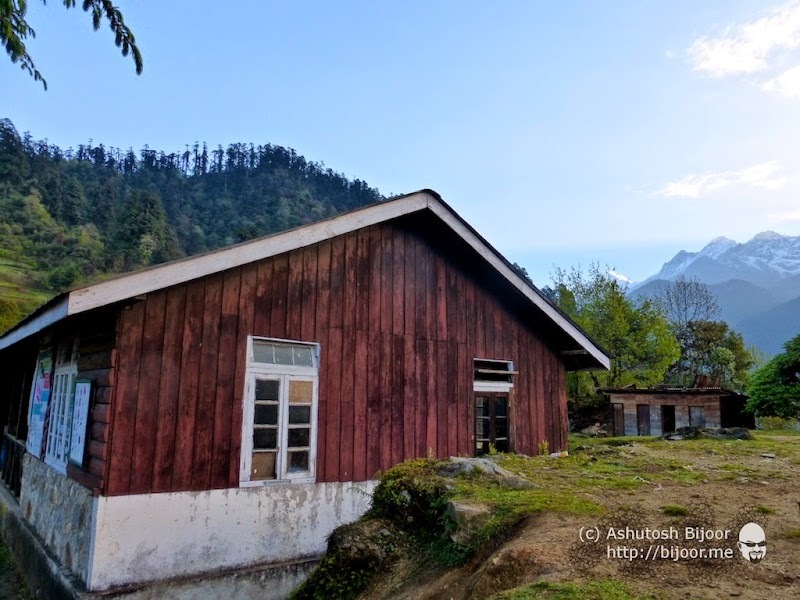 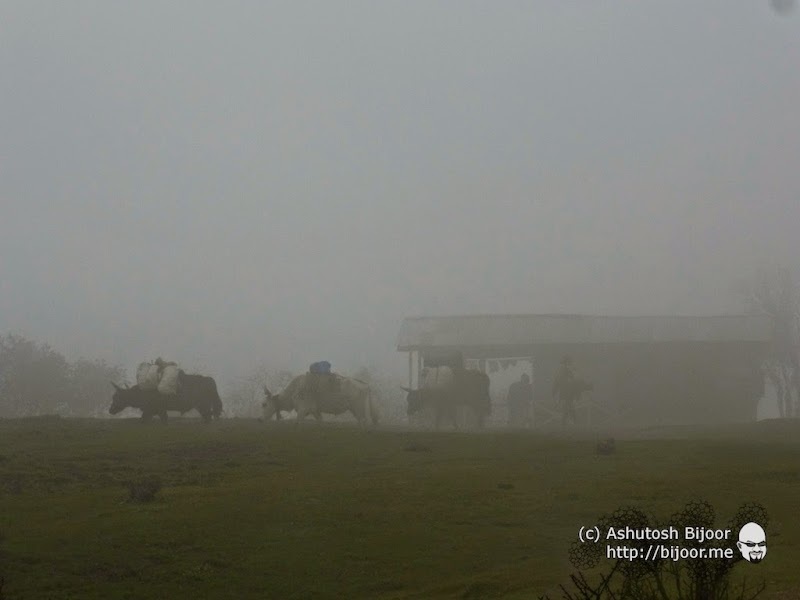 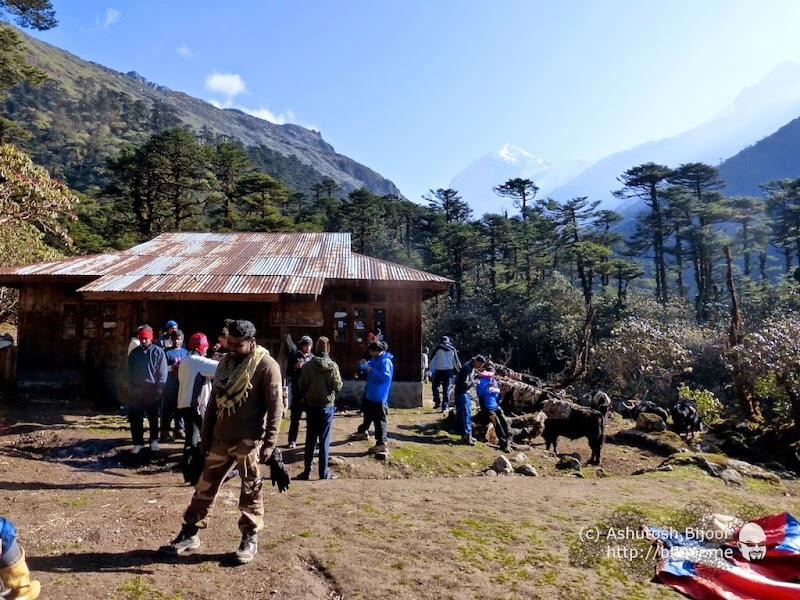 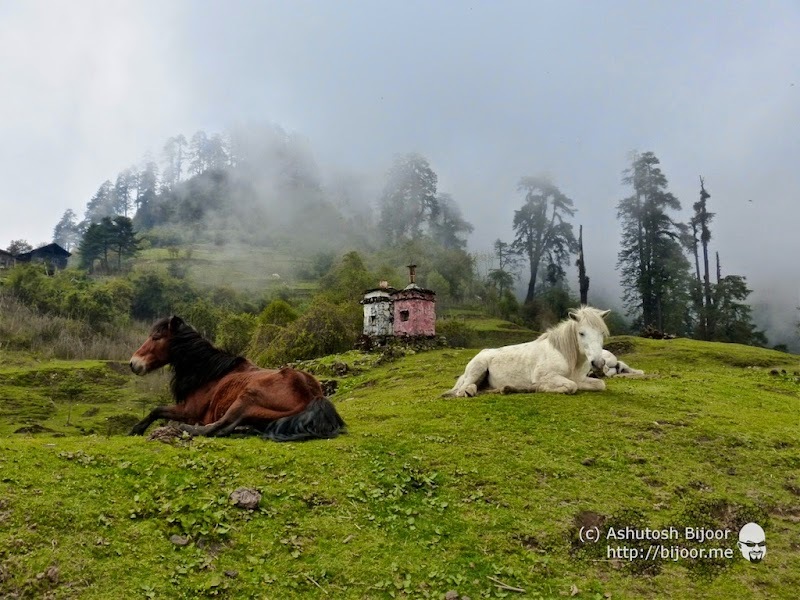 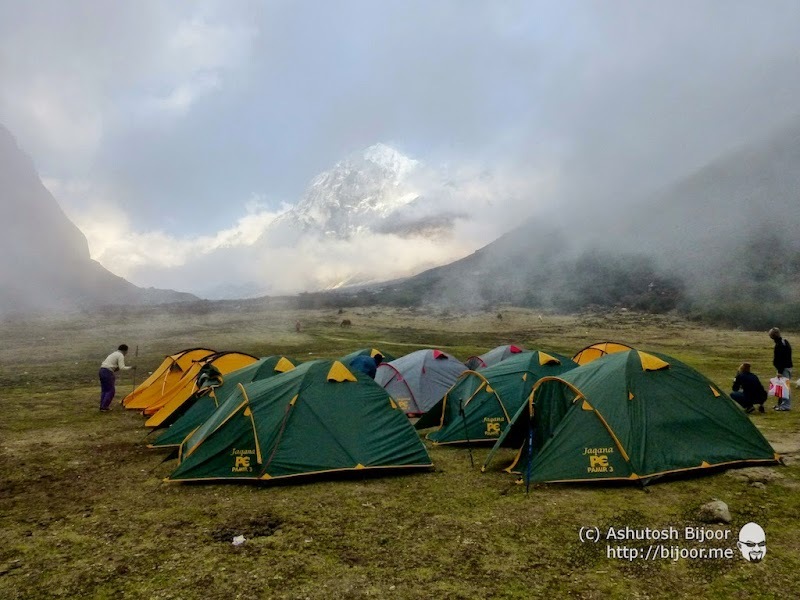 The camp at Kokchurang (12000 feet) is one of the most beautiful camp sites of this trek. 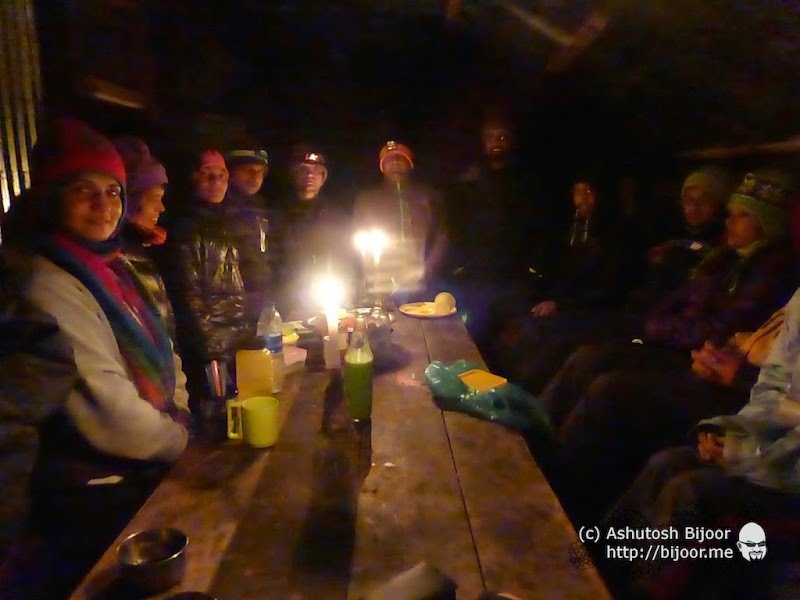 Just next to the Prek Chu river, this camp has a proper log cabin and toilet block, and for the first time we actually had enough place to put our sleeping bags in the log hut and sleep. 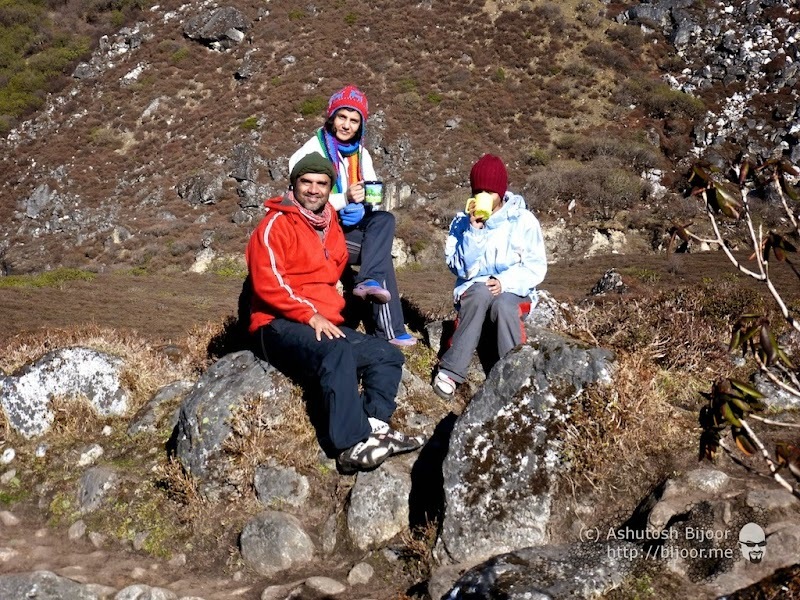 We slept well after over 12 hours of trekking the previous day.